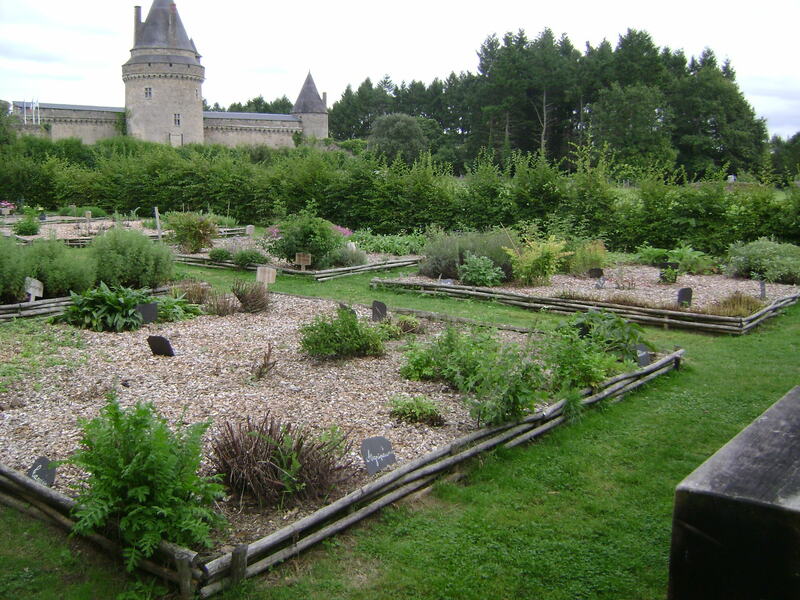 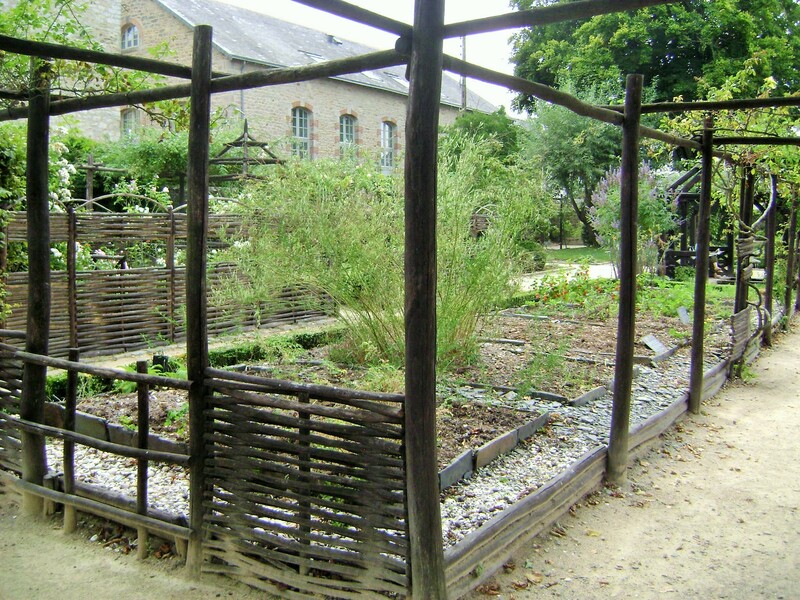 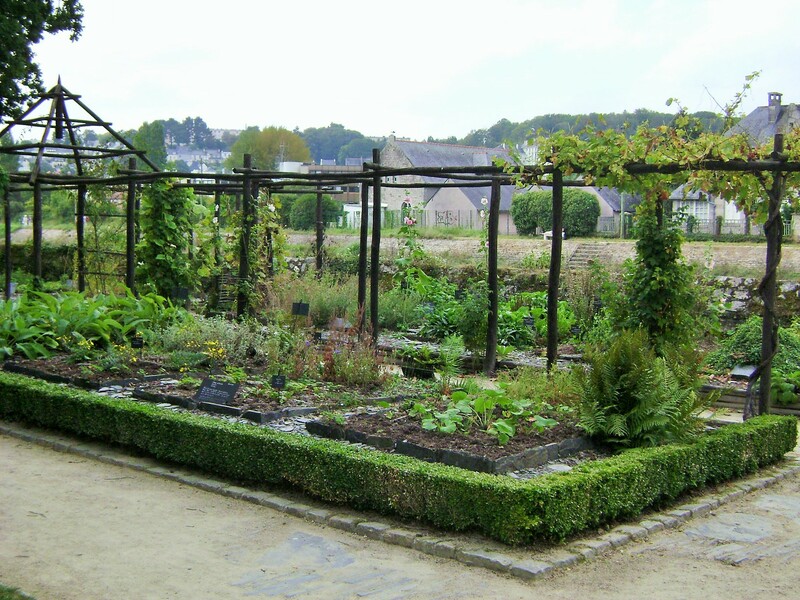 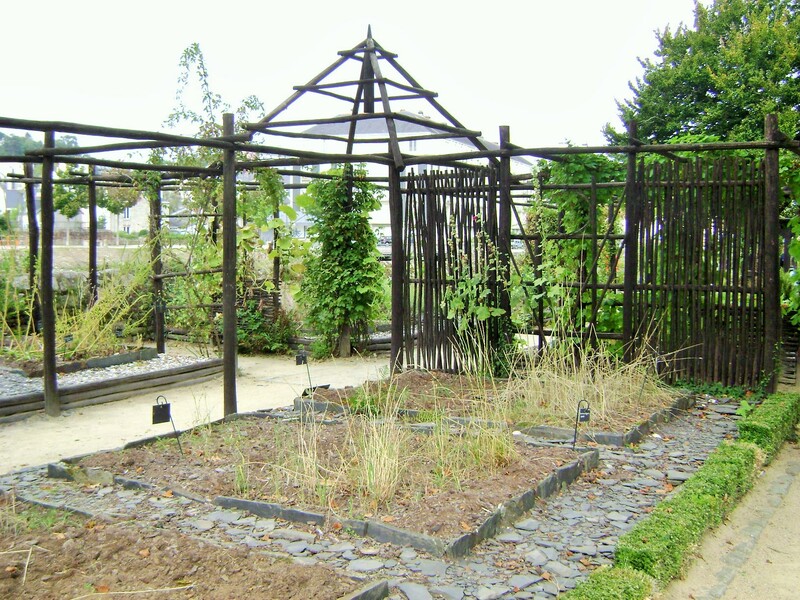 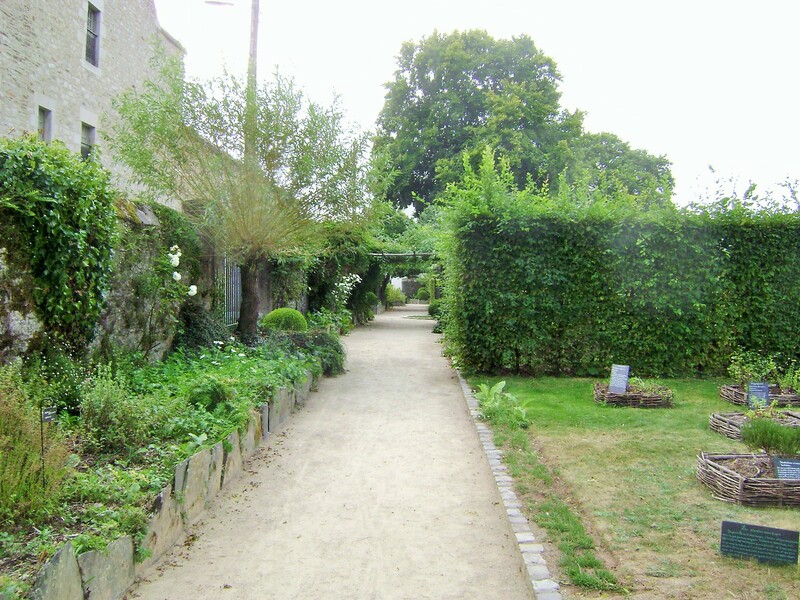 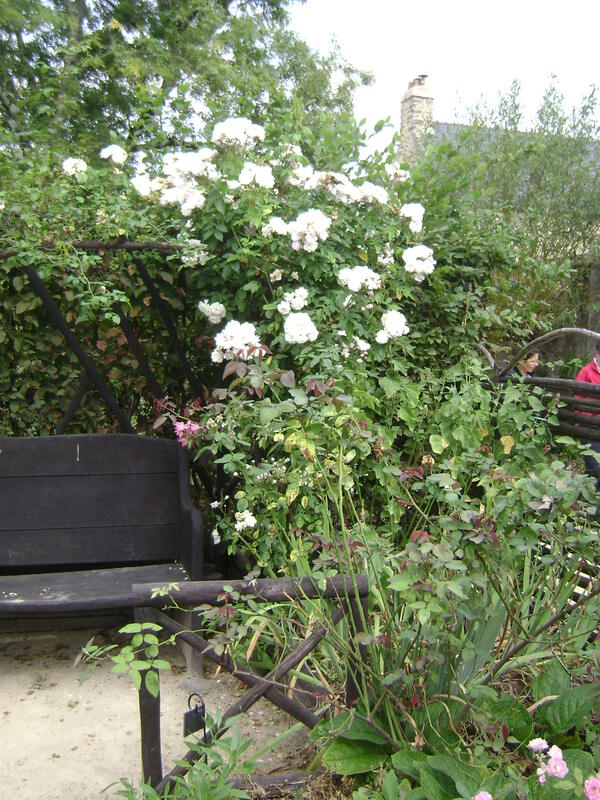 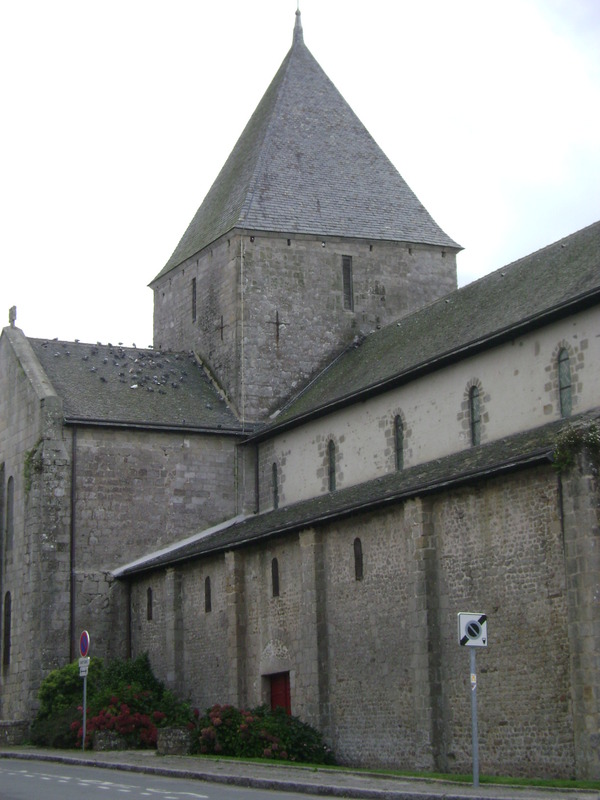 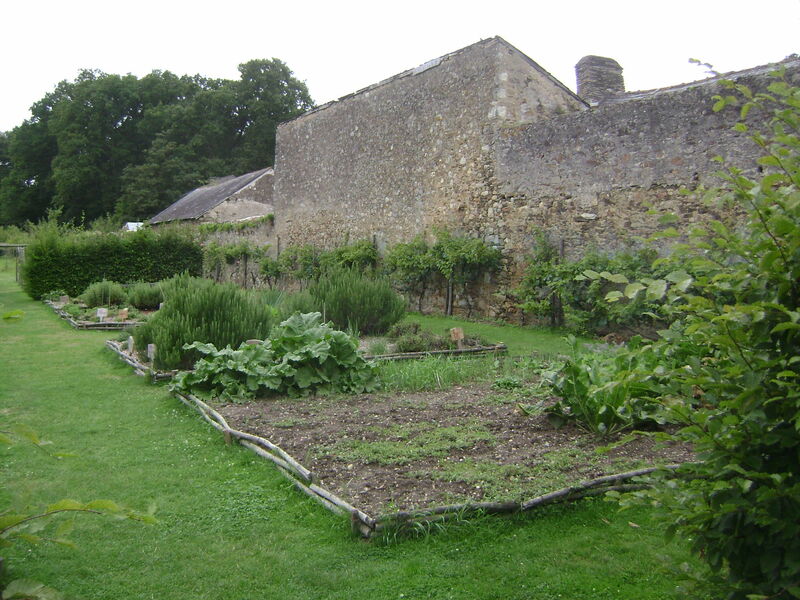 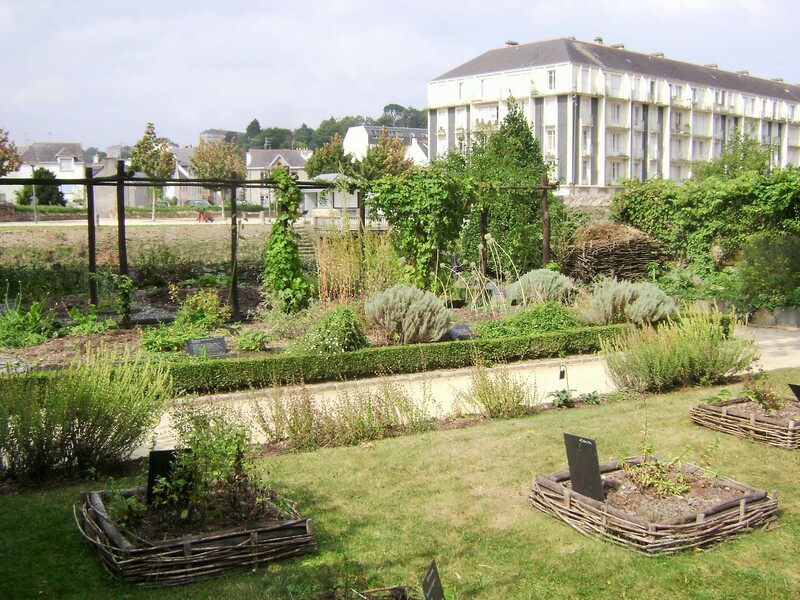 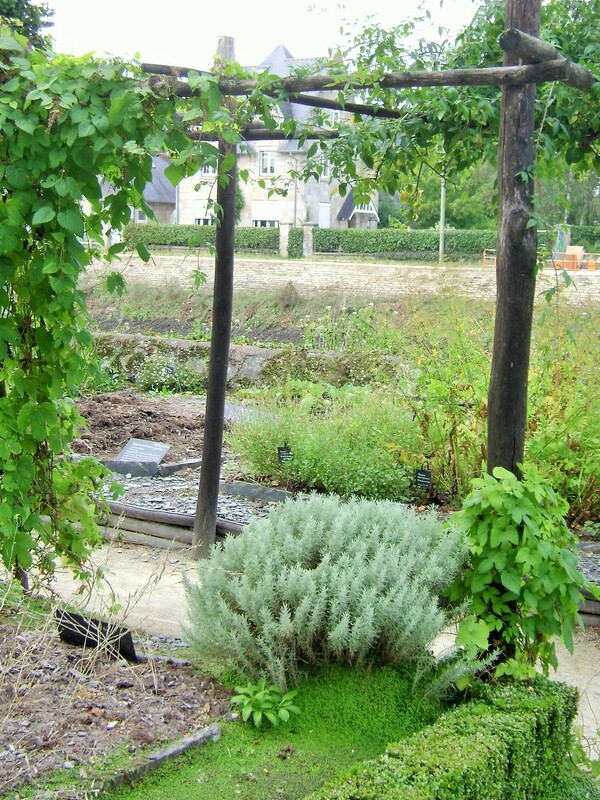 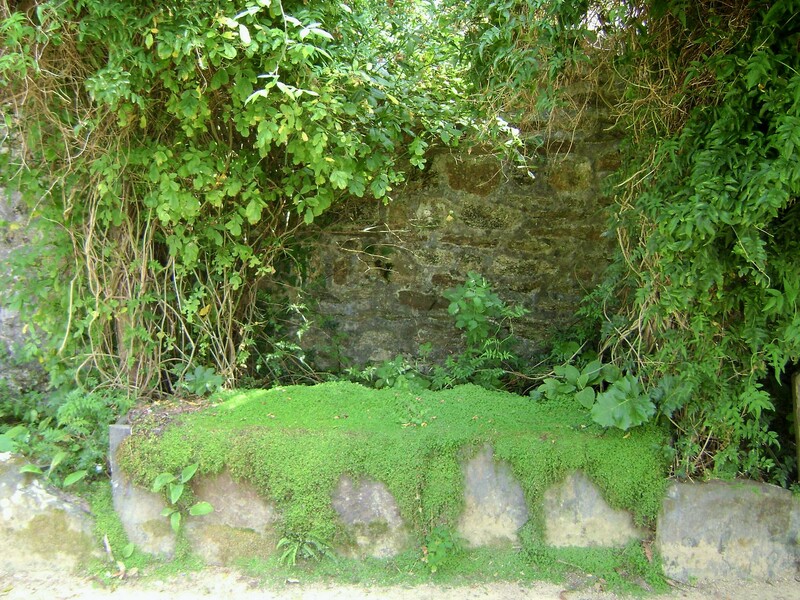 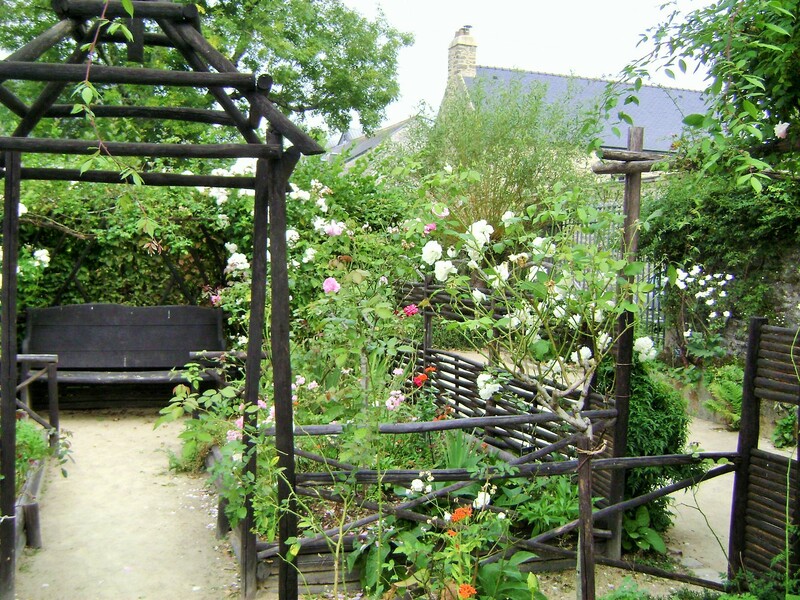 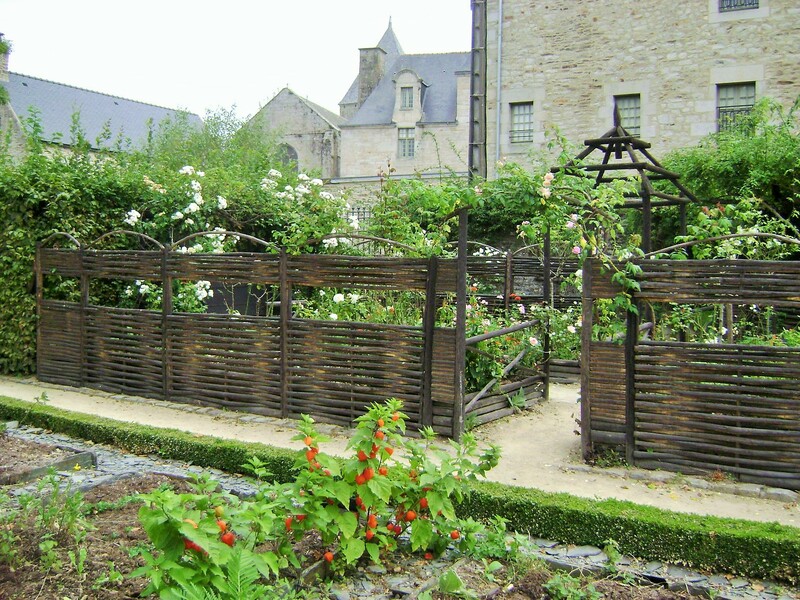 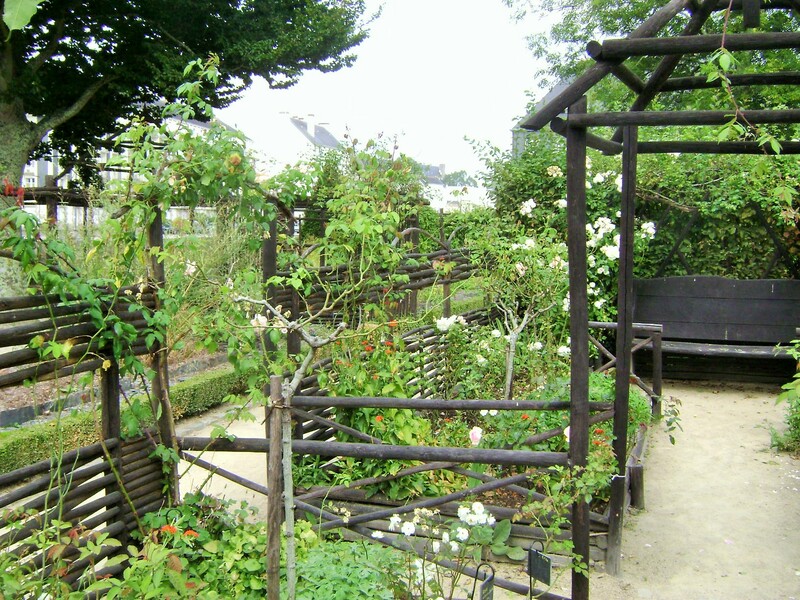 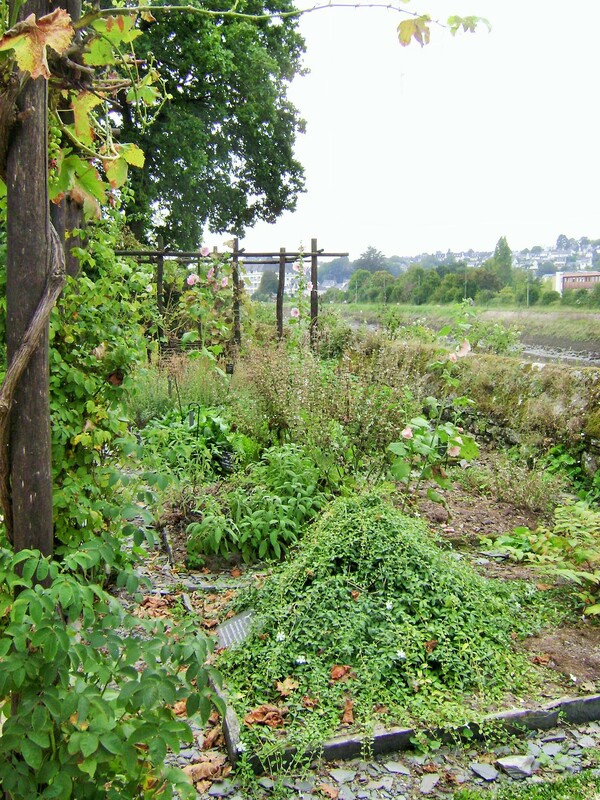 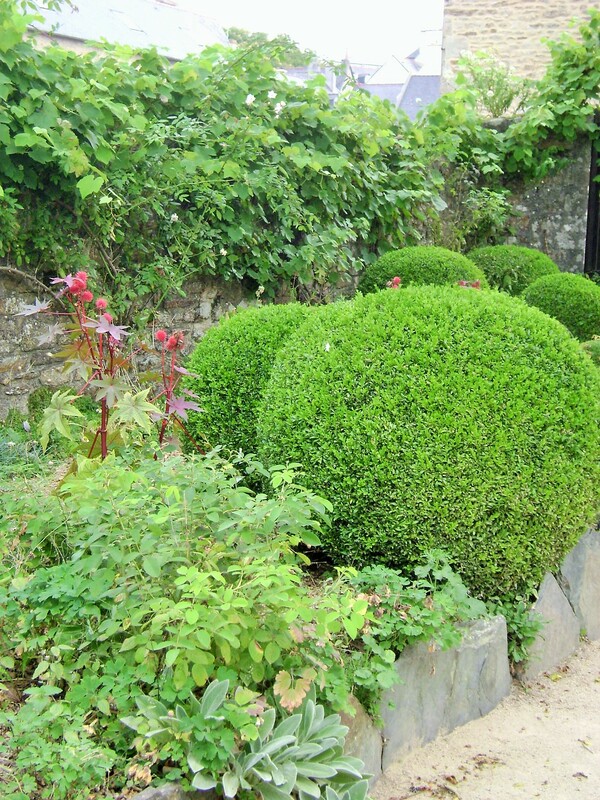 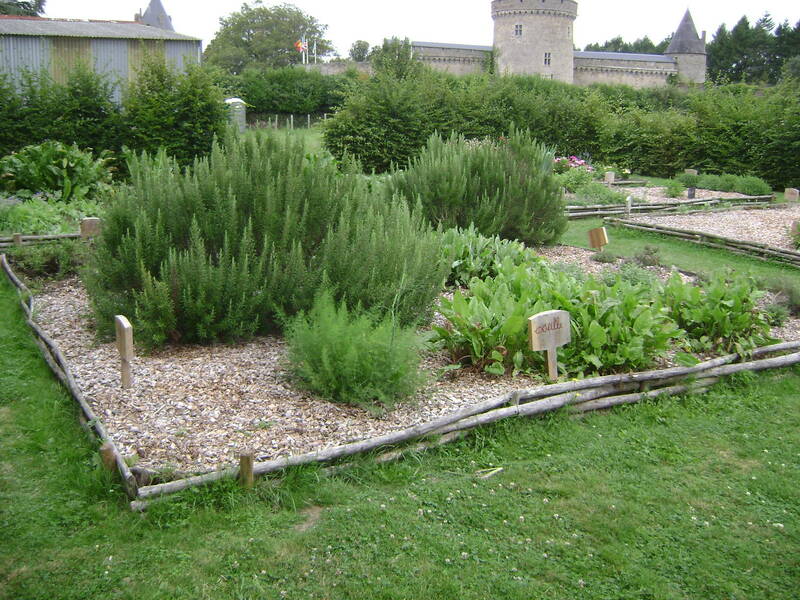 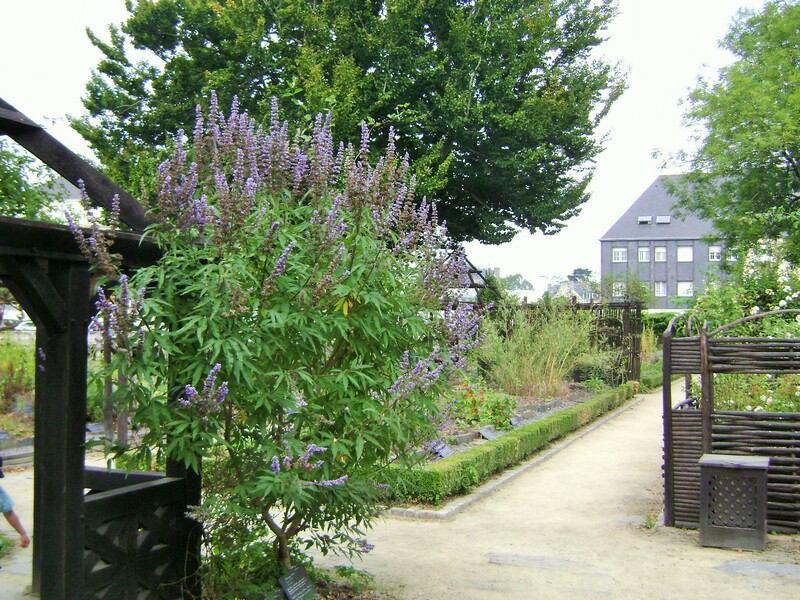 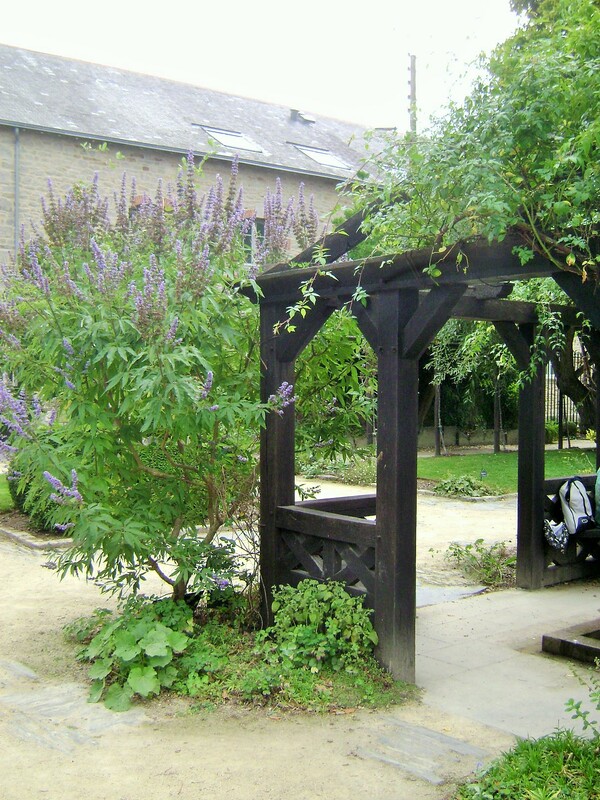 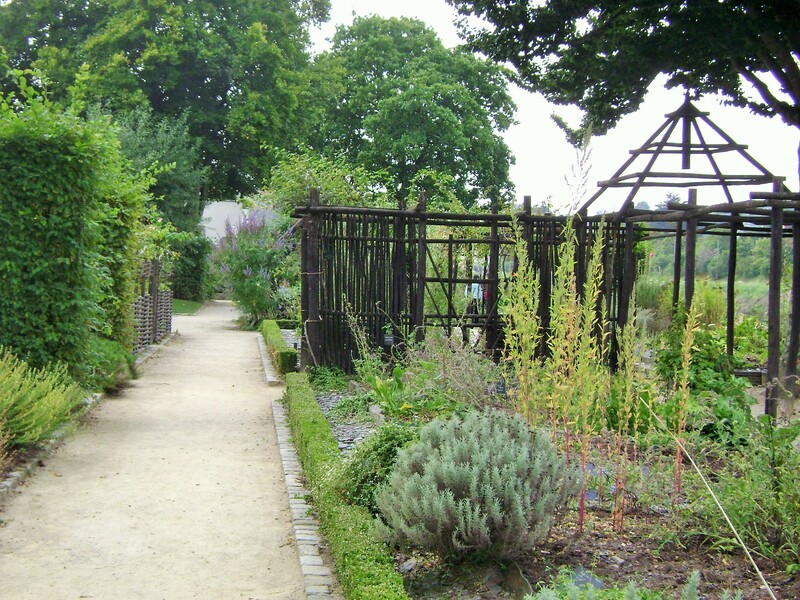 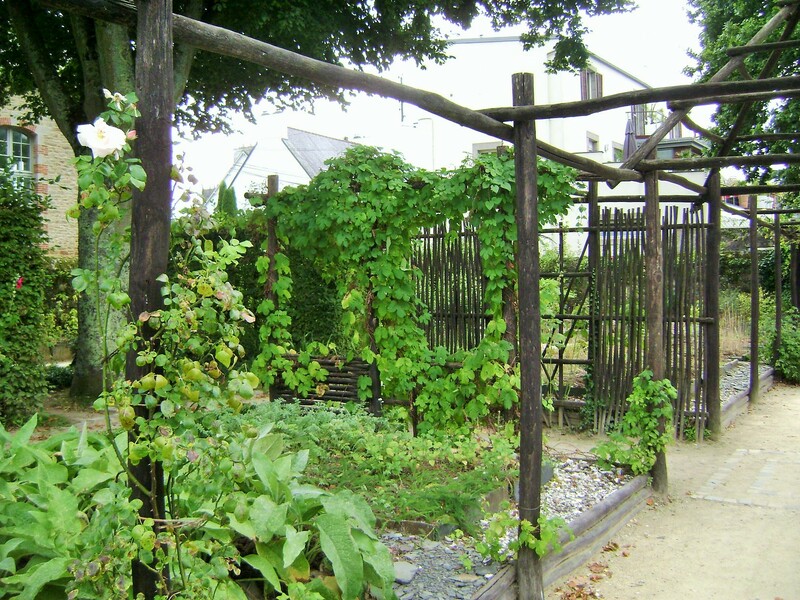 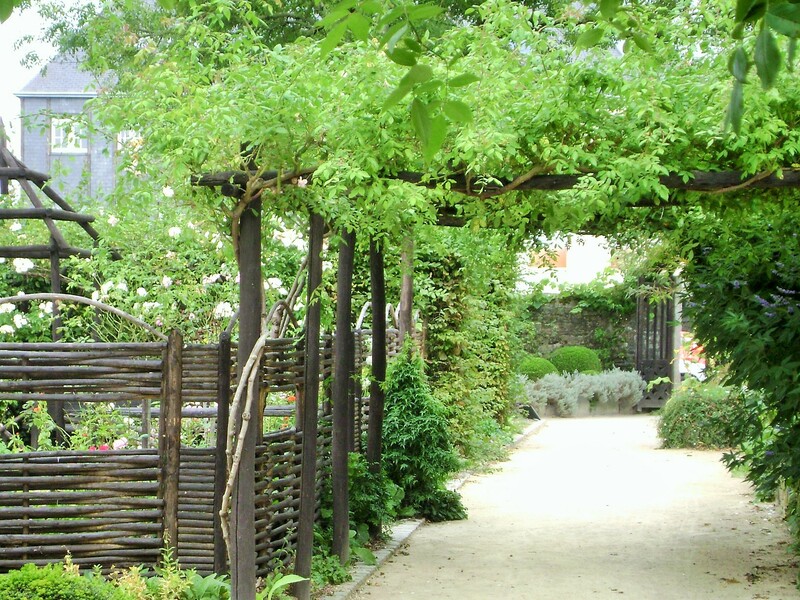 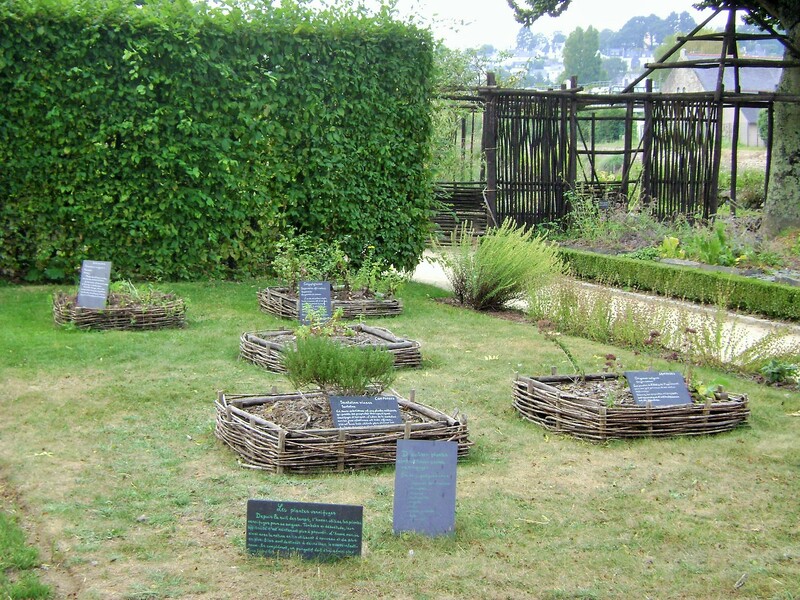 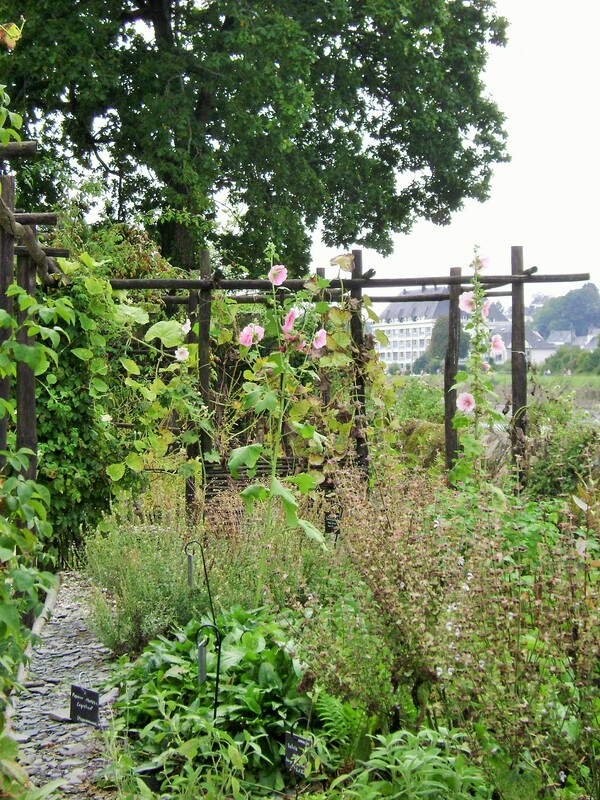 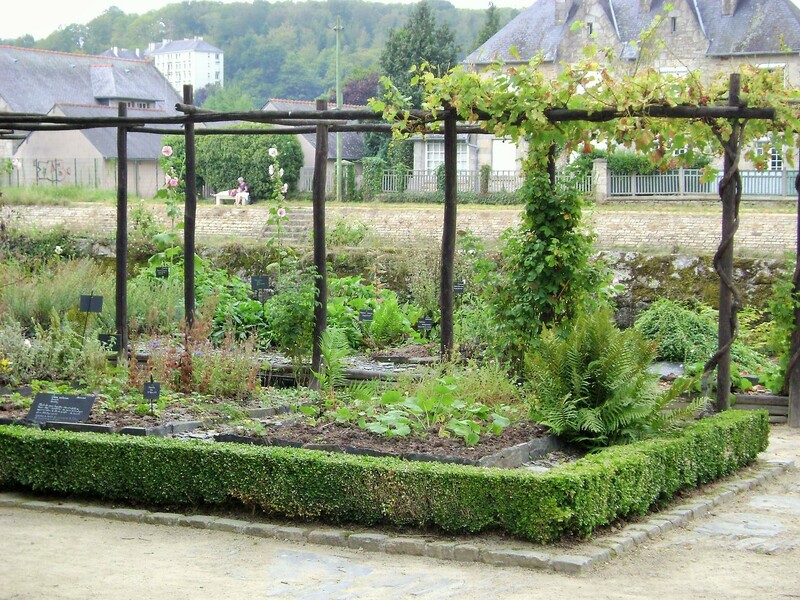 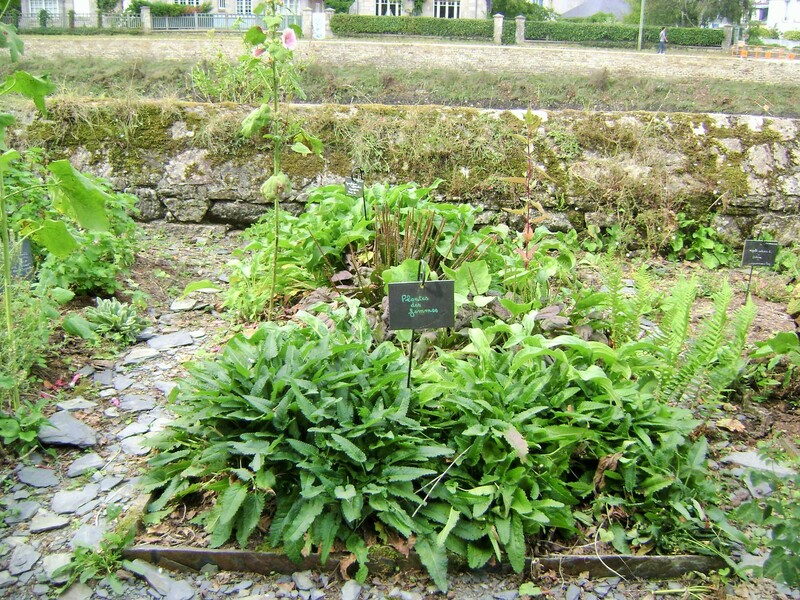 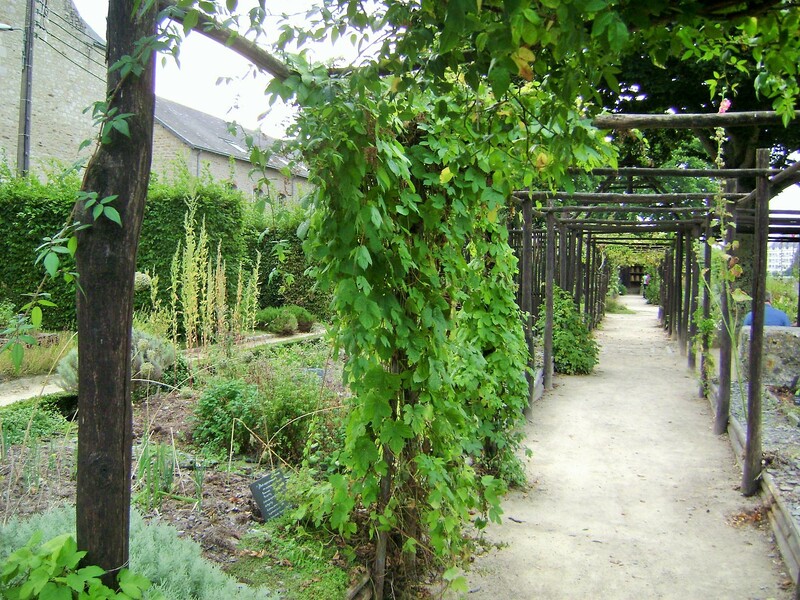 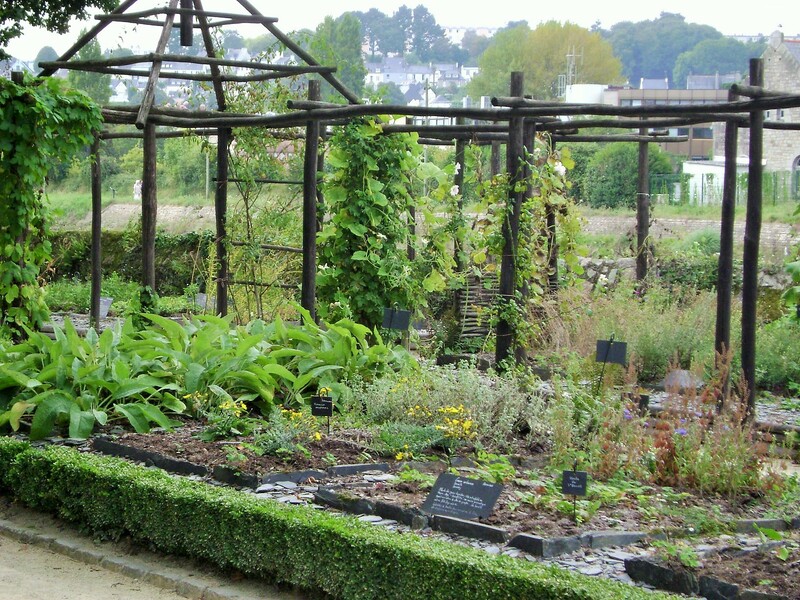 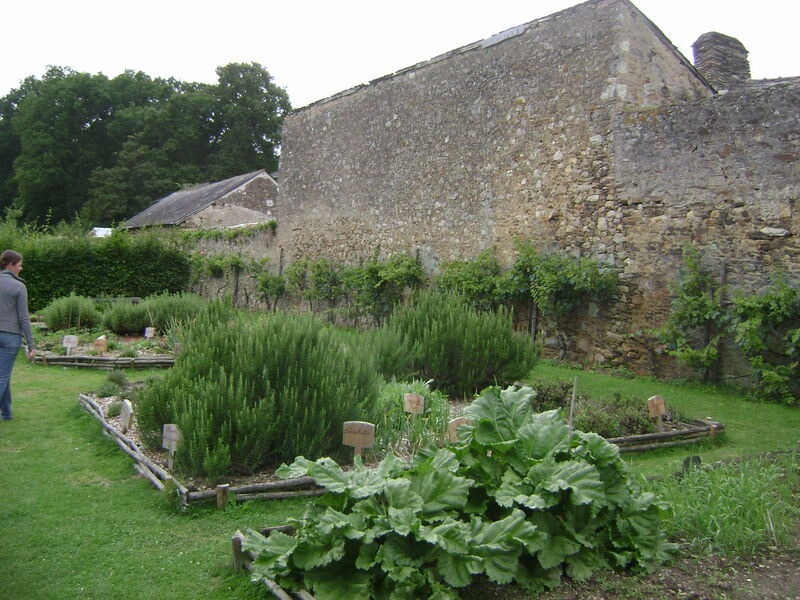 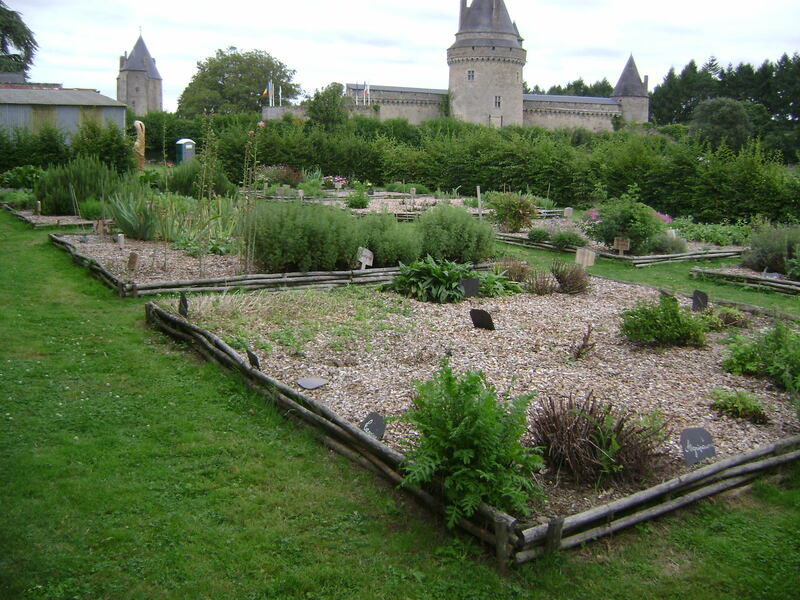 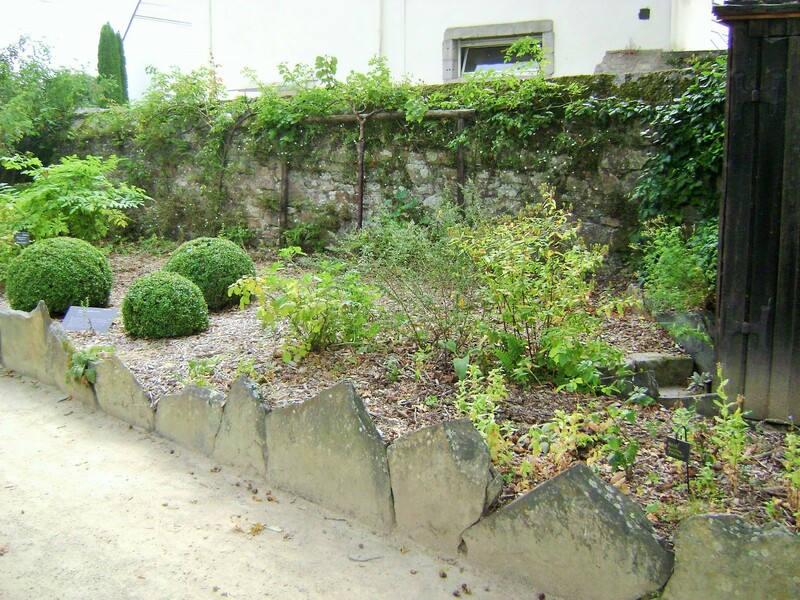 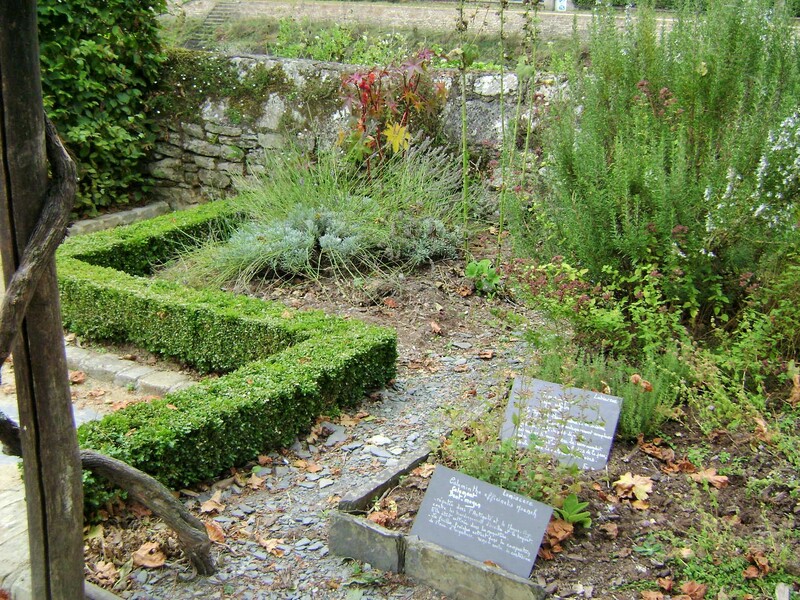 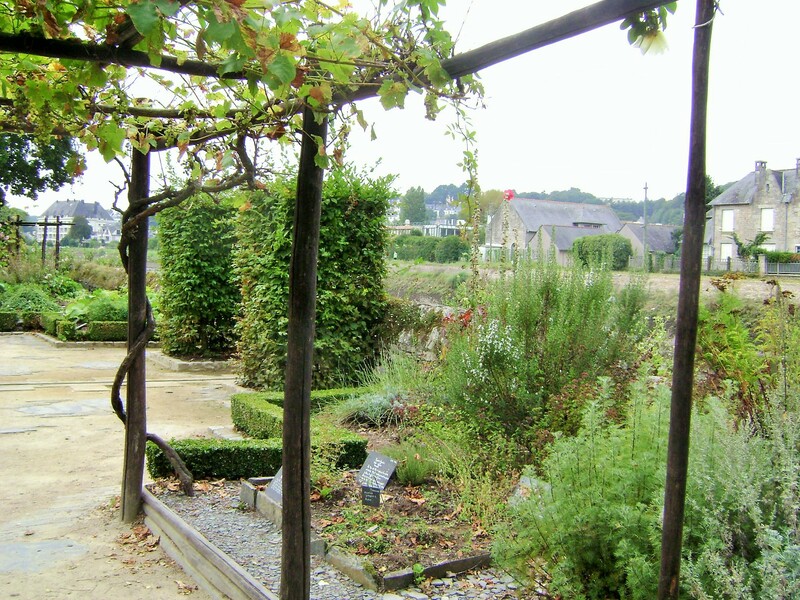 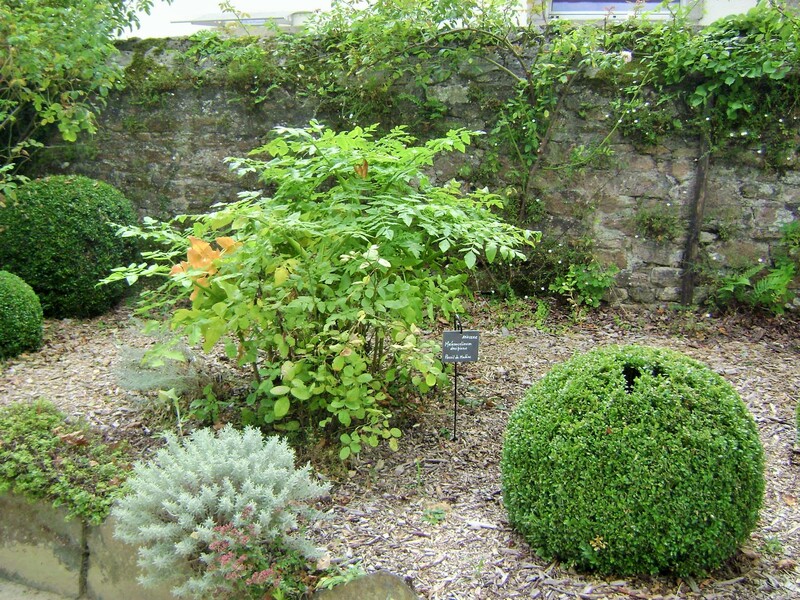 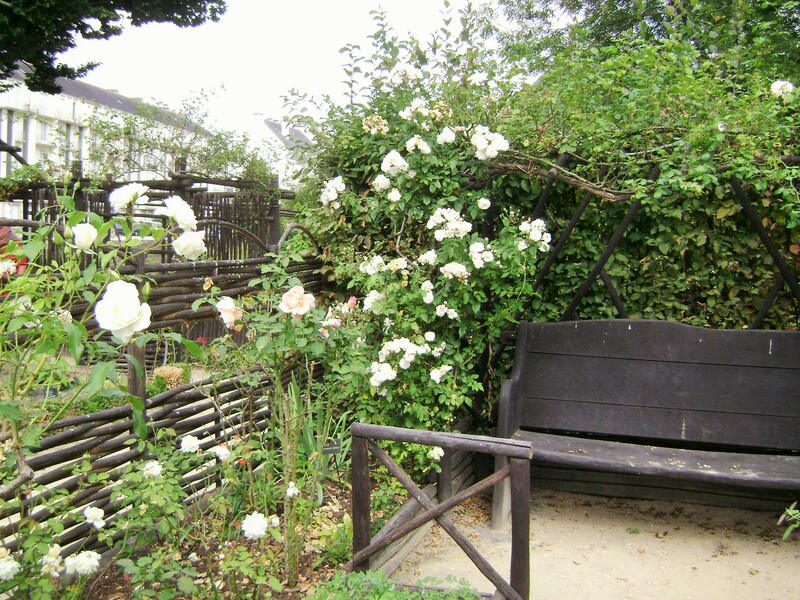 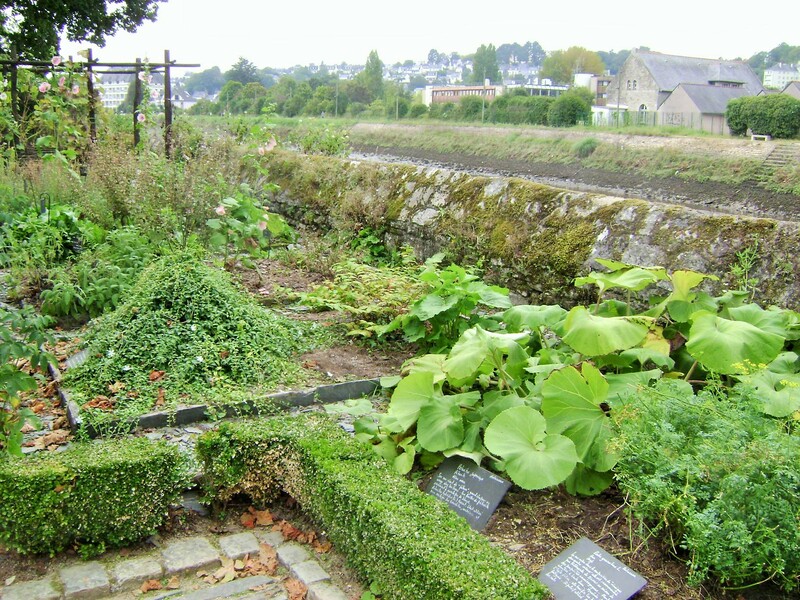 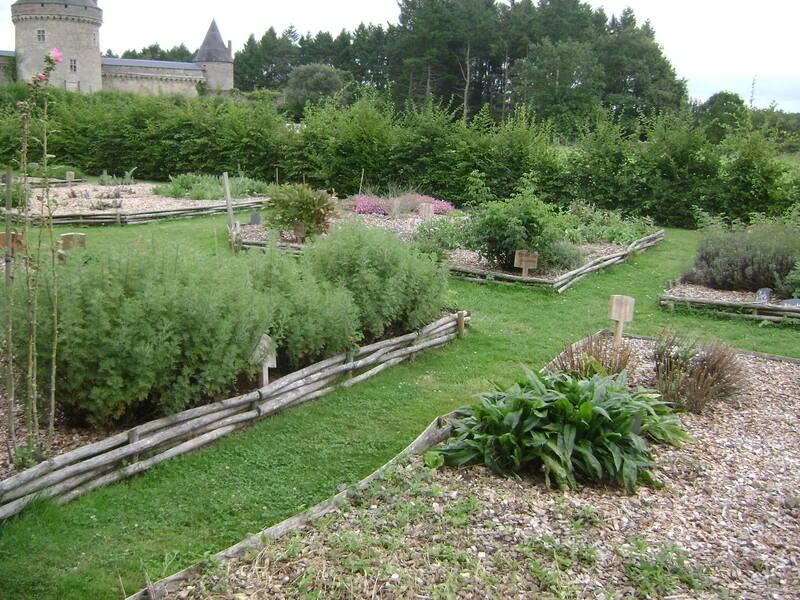 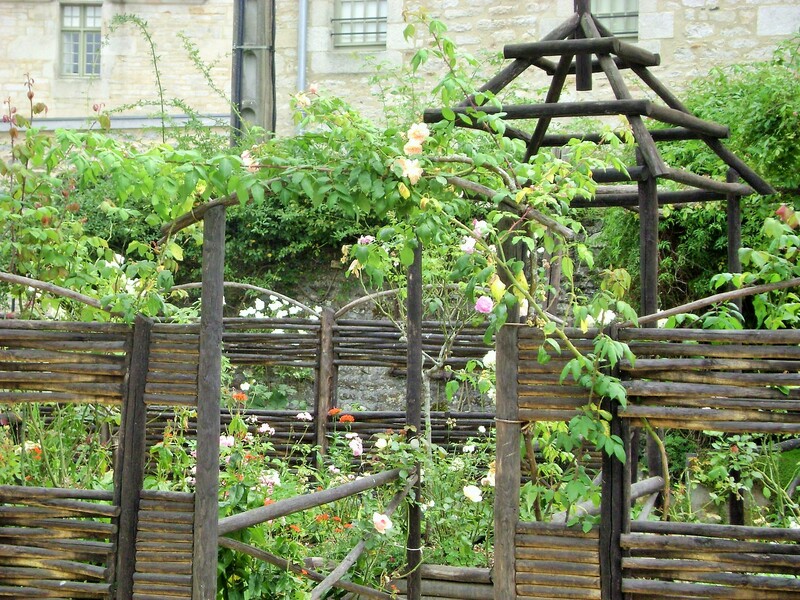 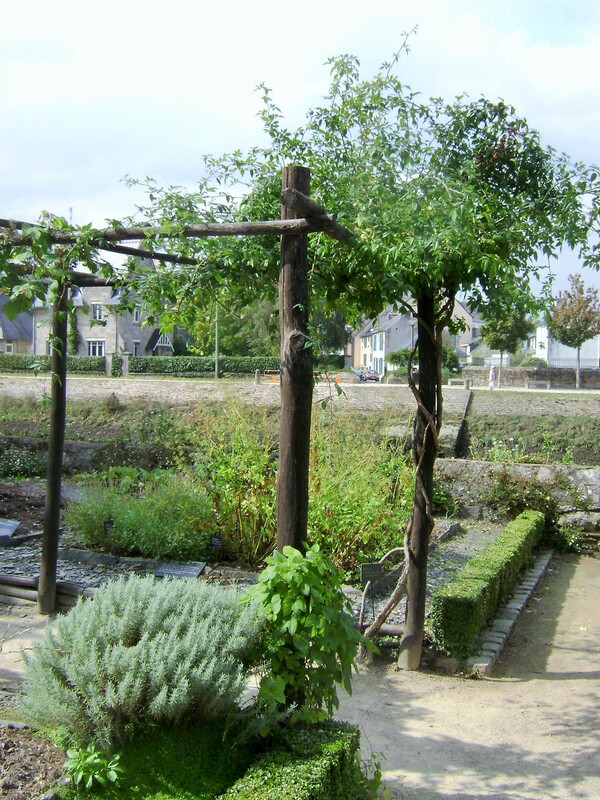 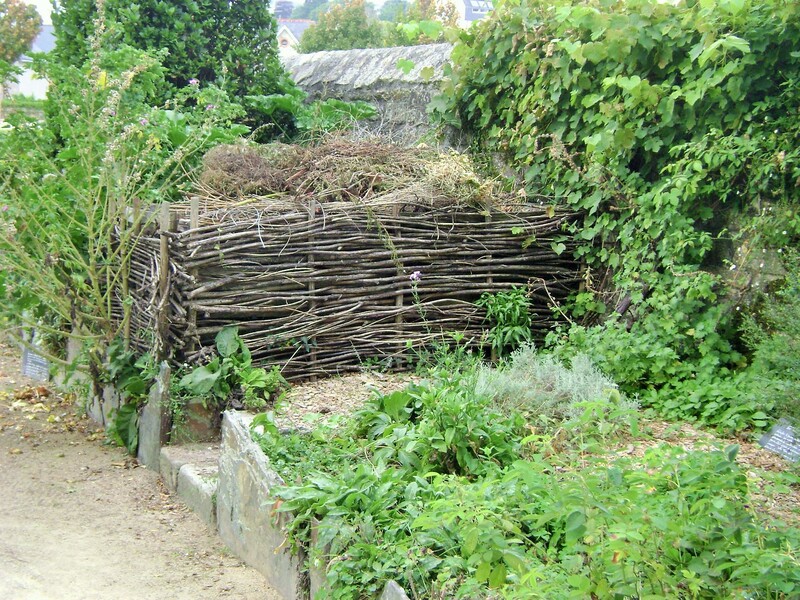 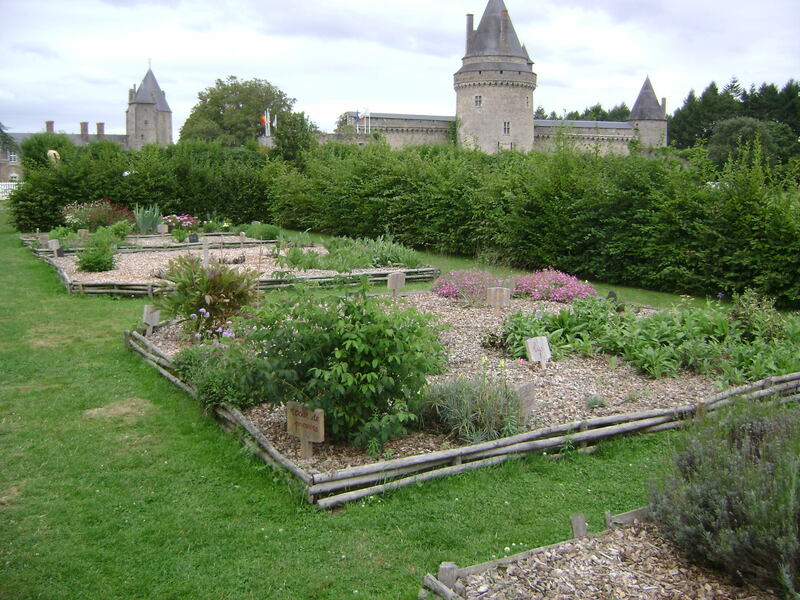 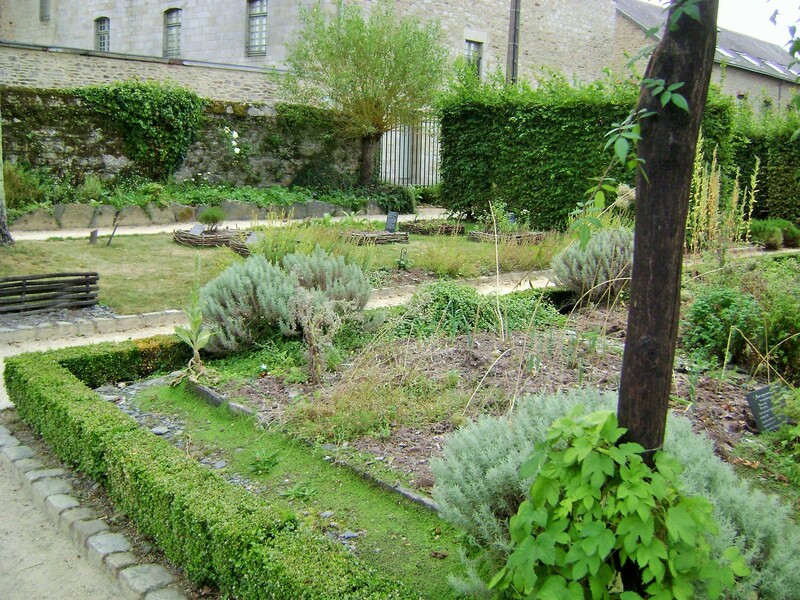 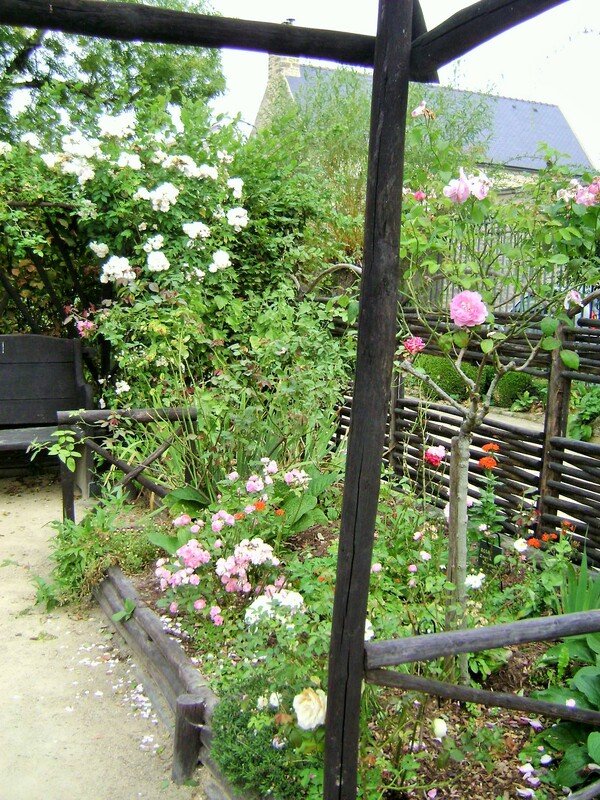 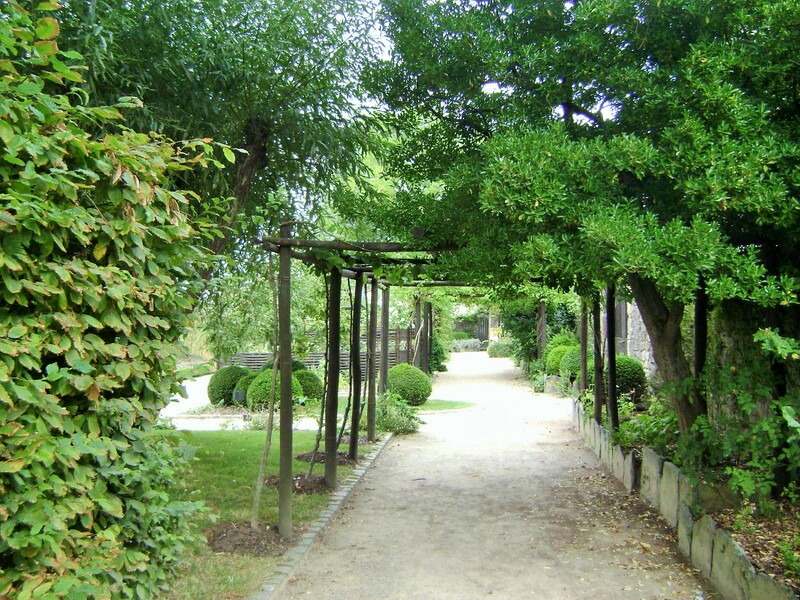 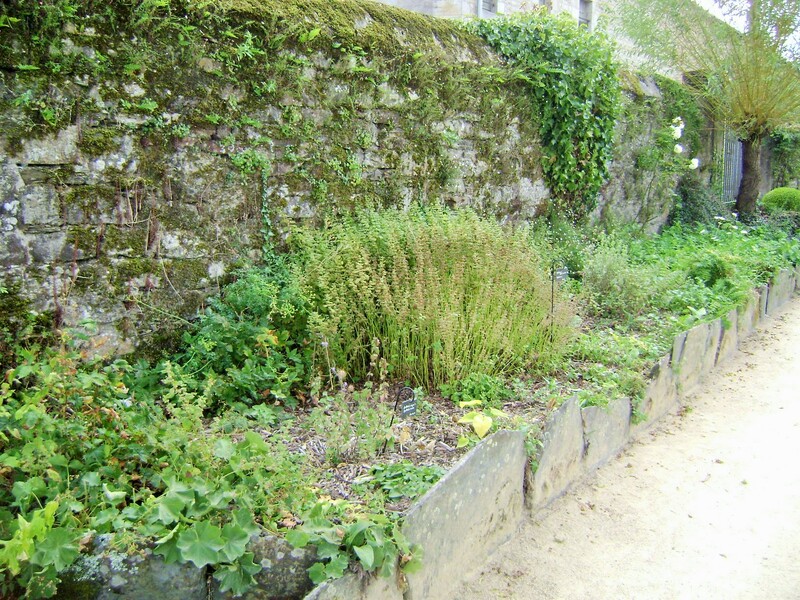 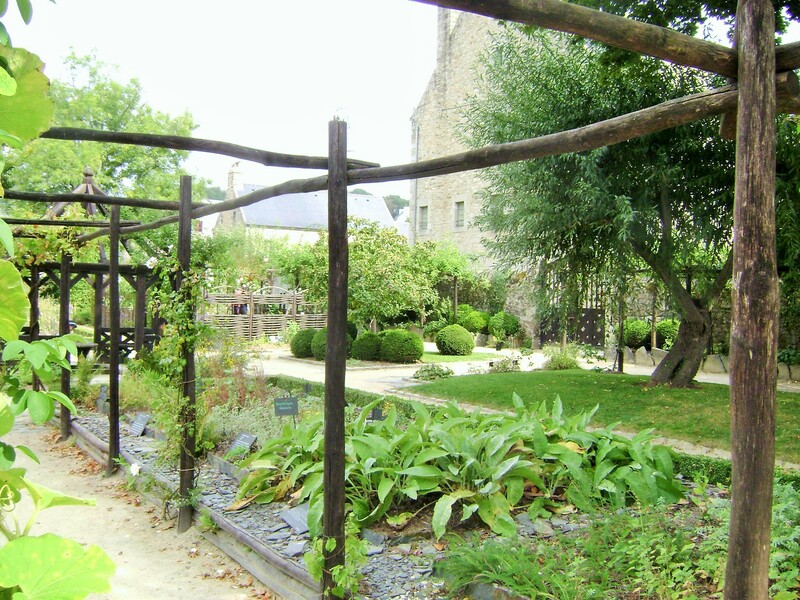 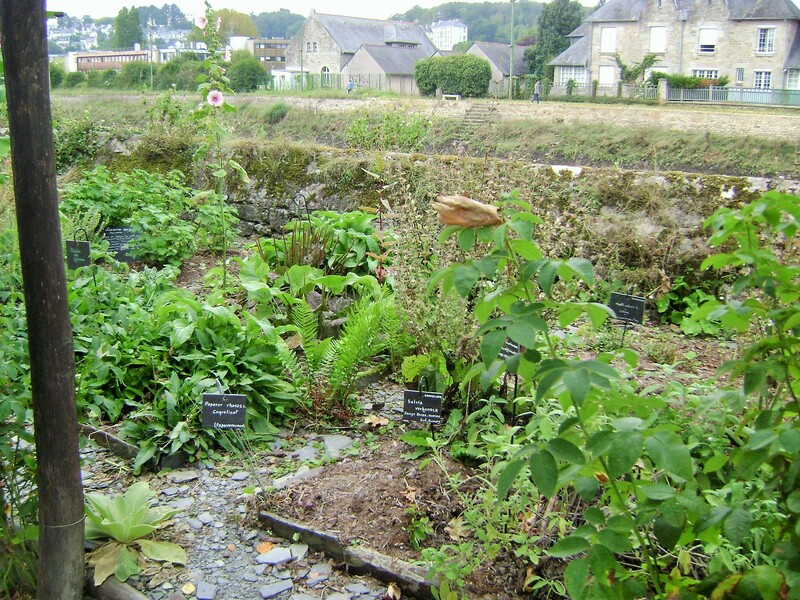 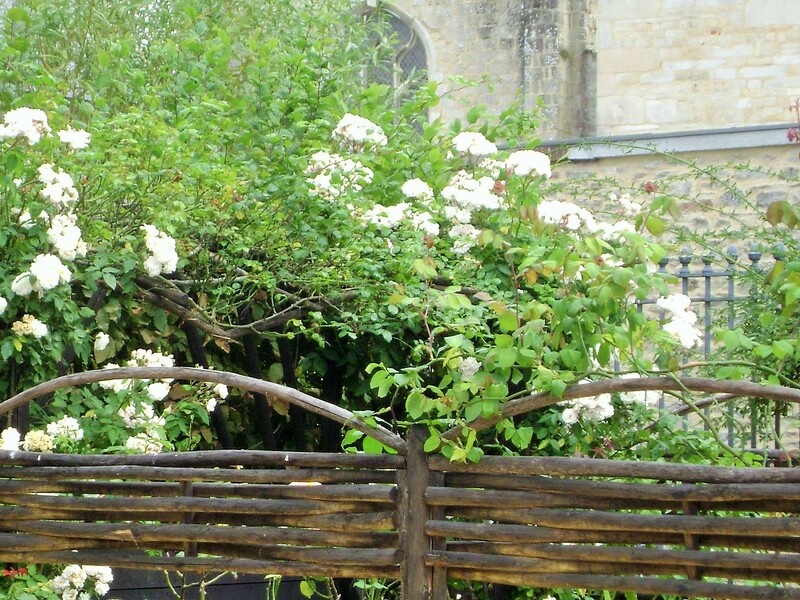 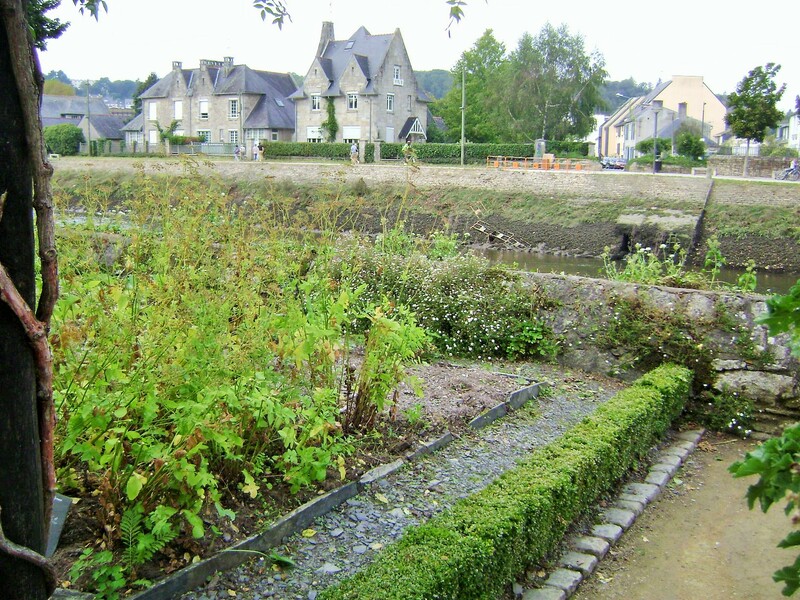 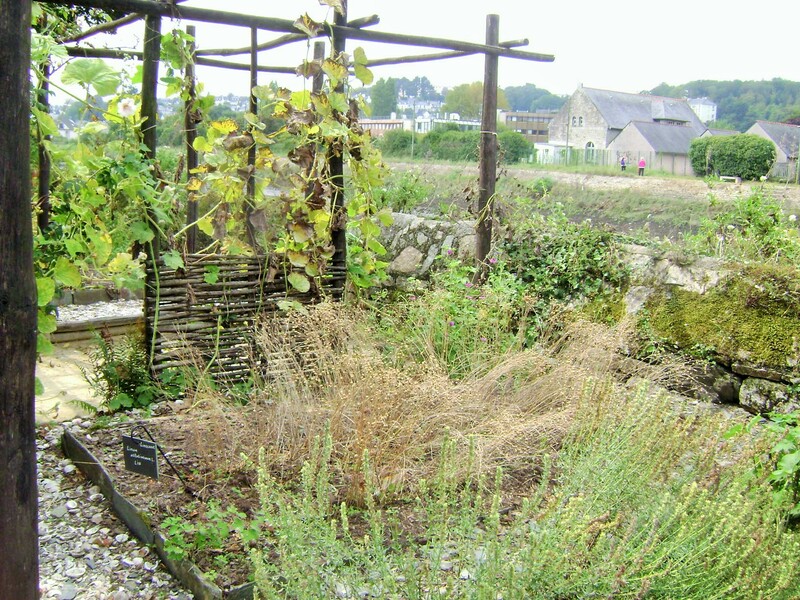 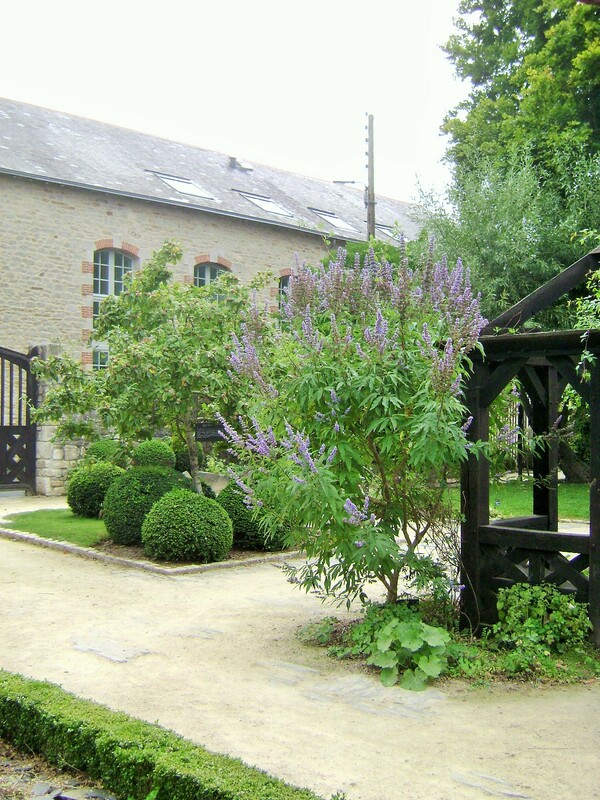 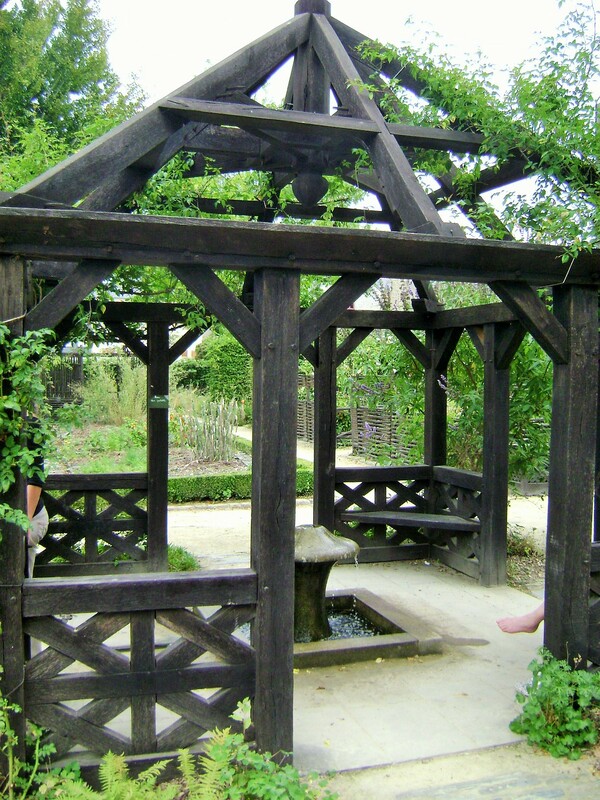 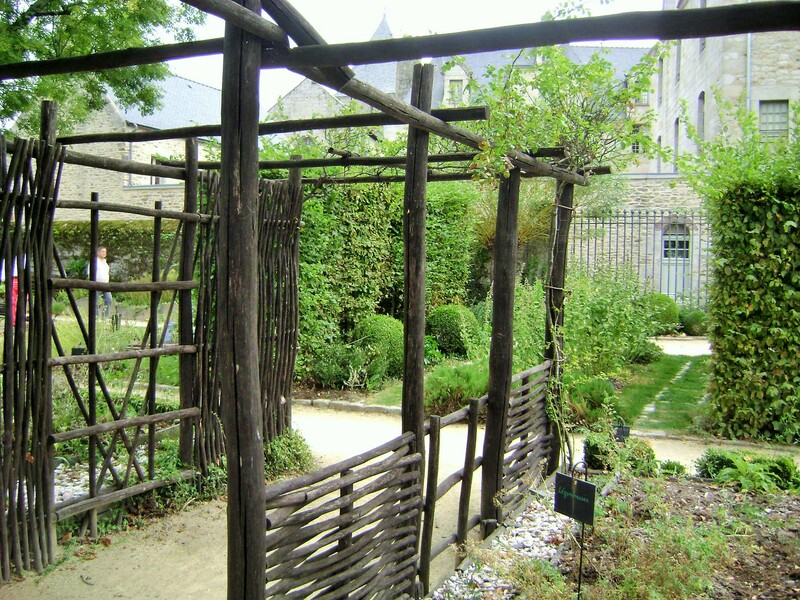 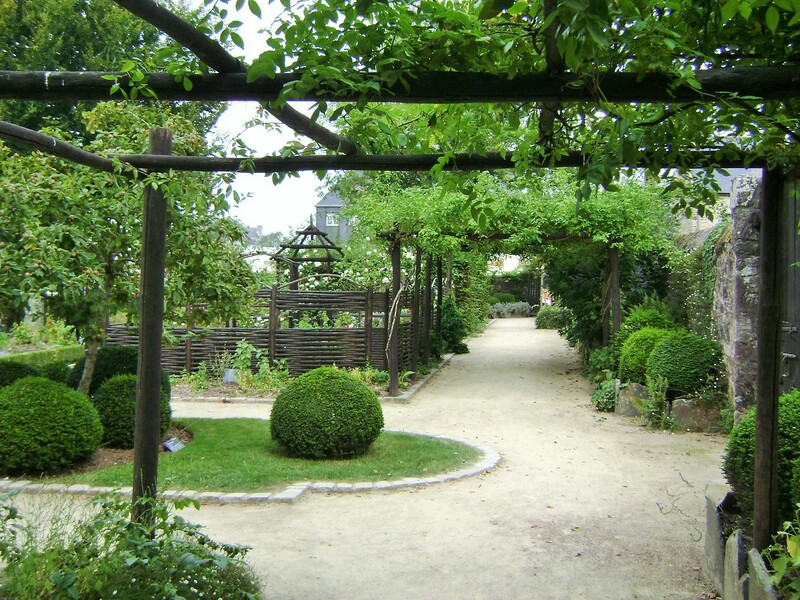 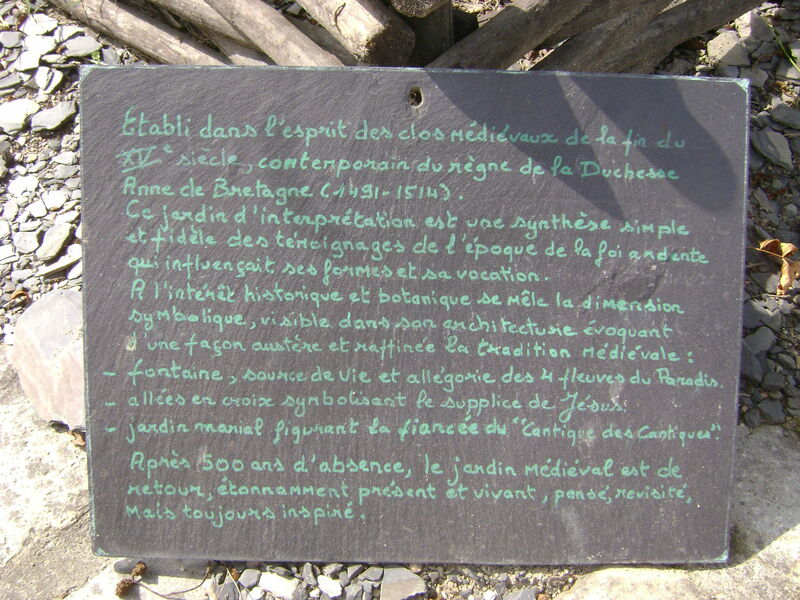 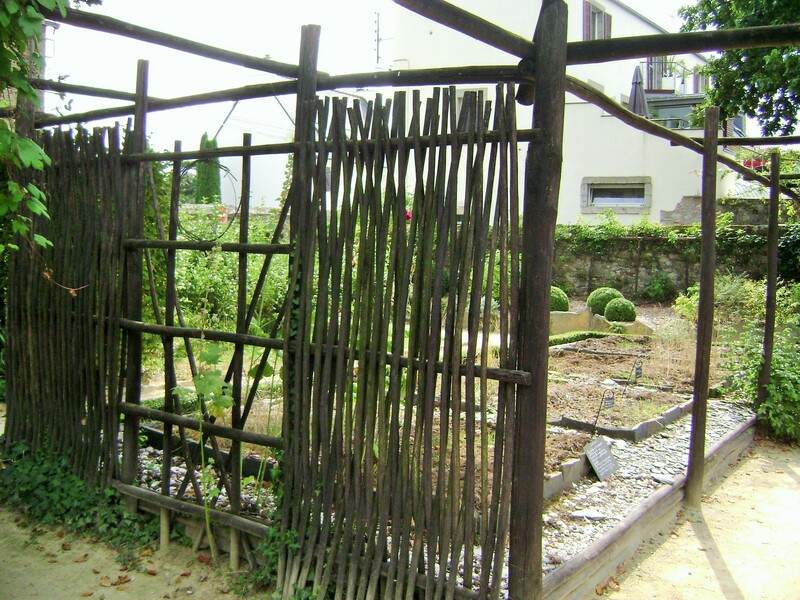 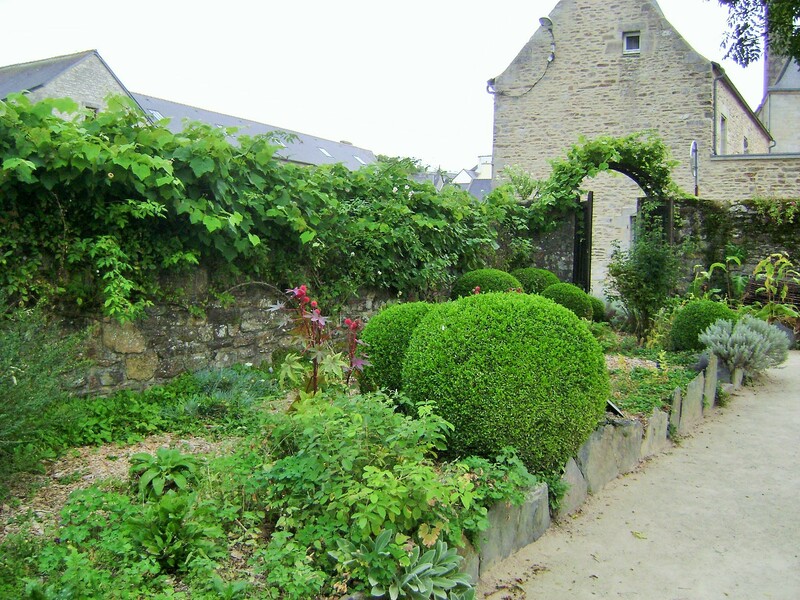 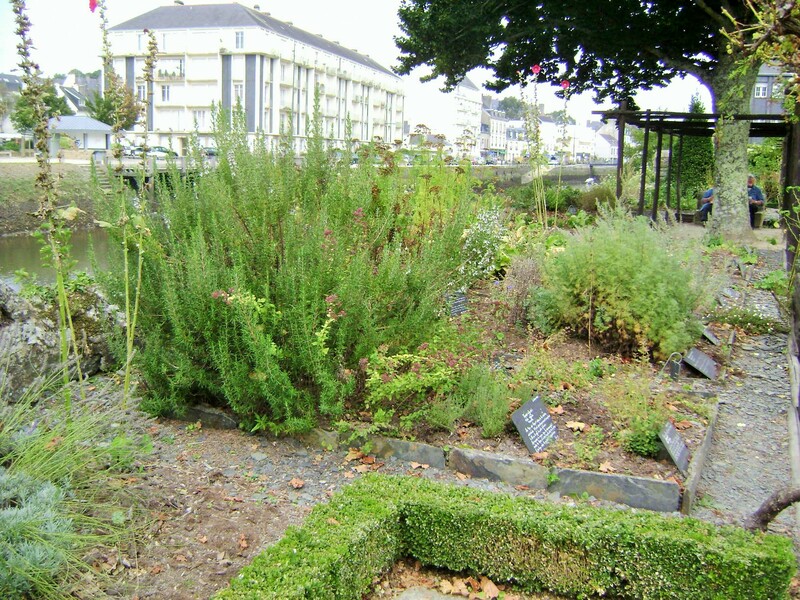 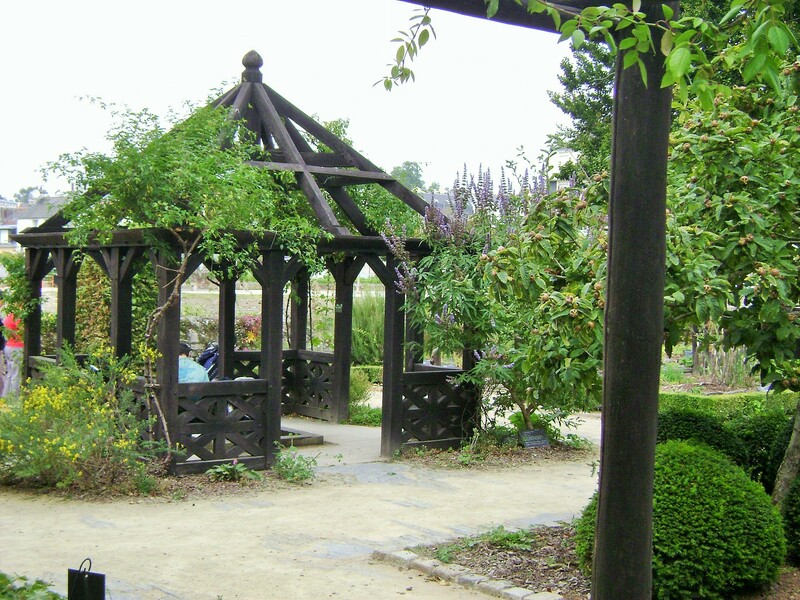 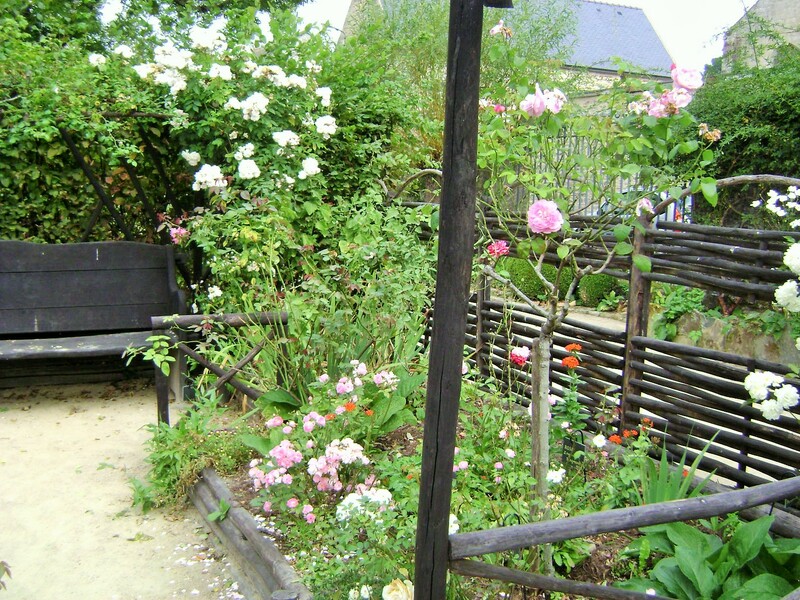 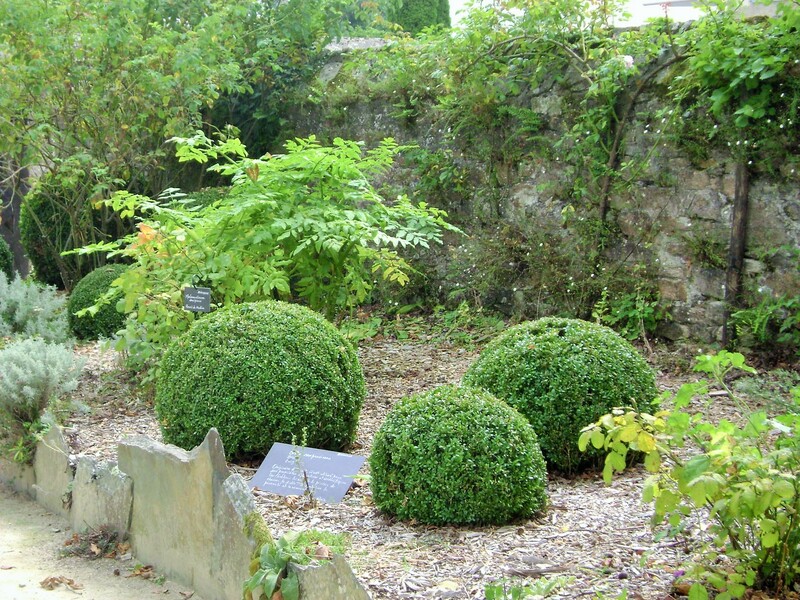 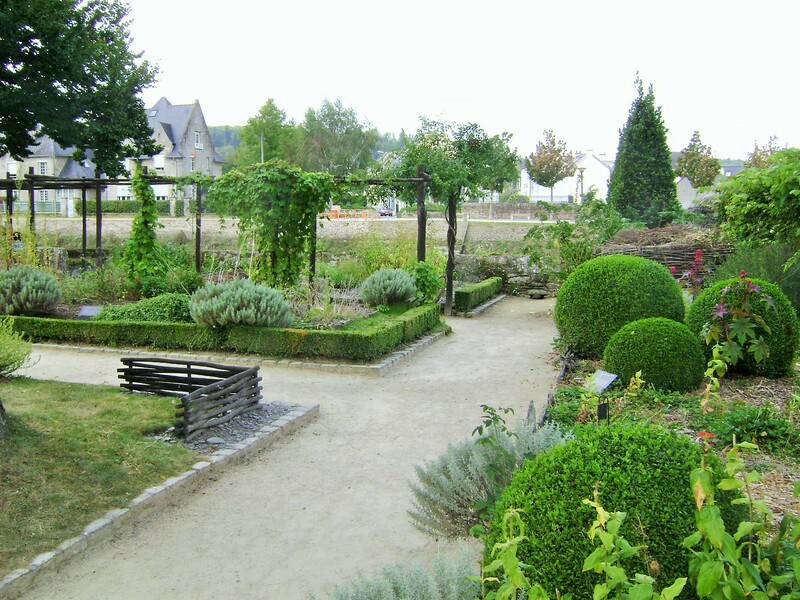 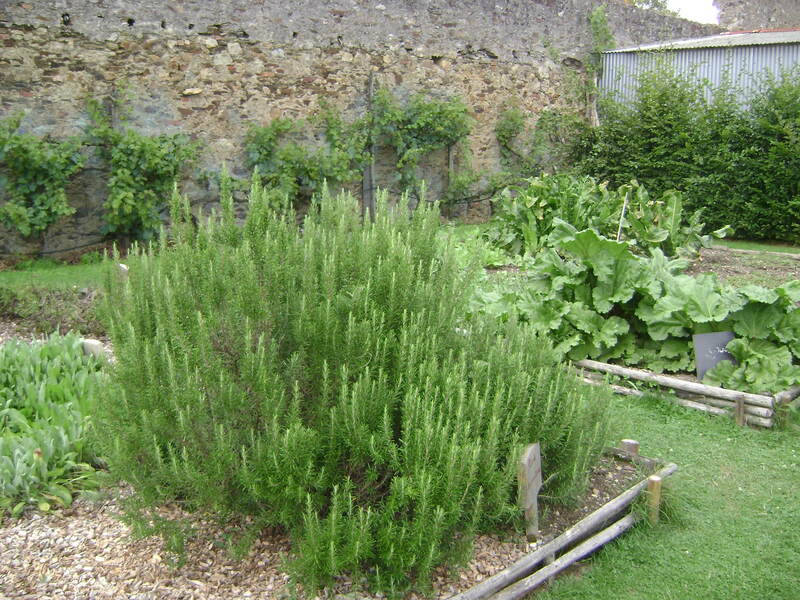 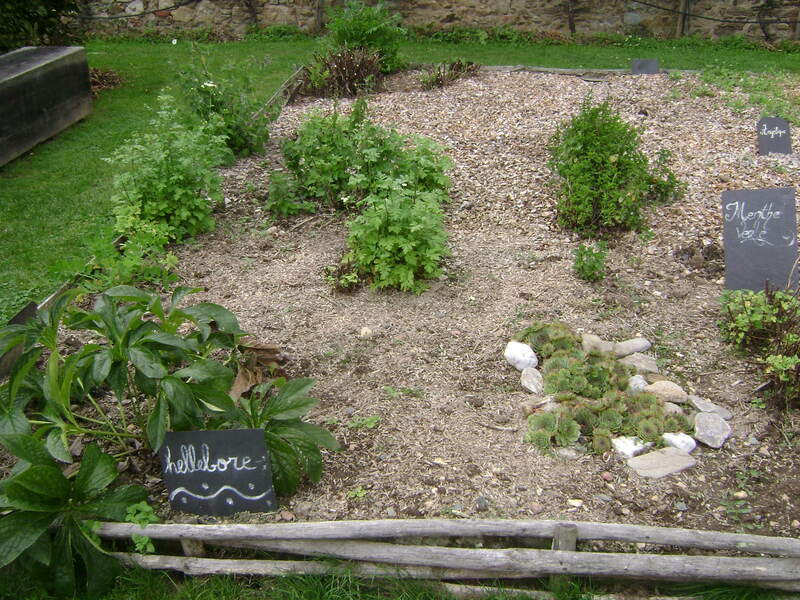 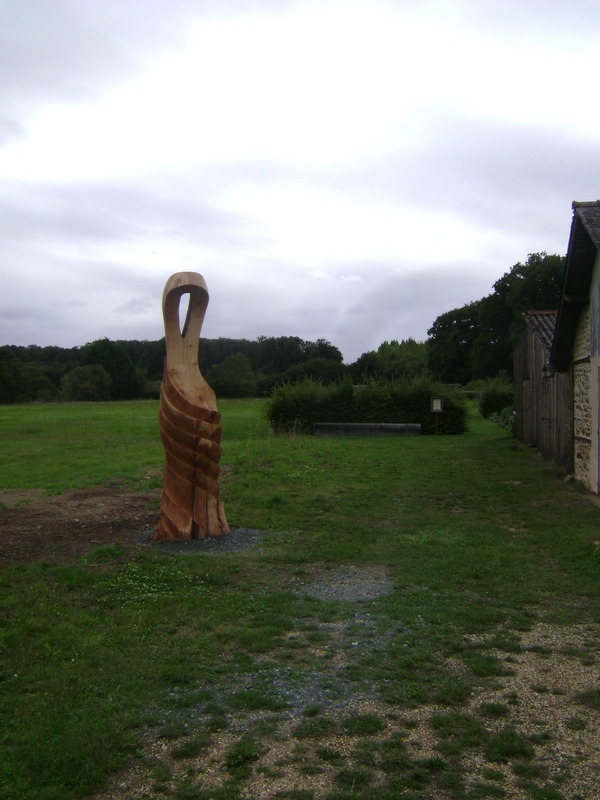 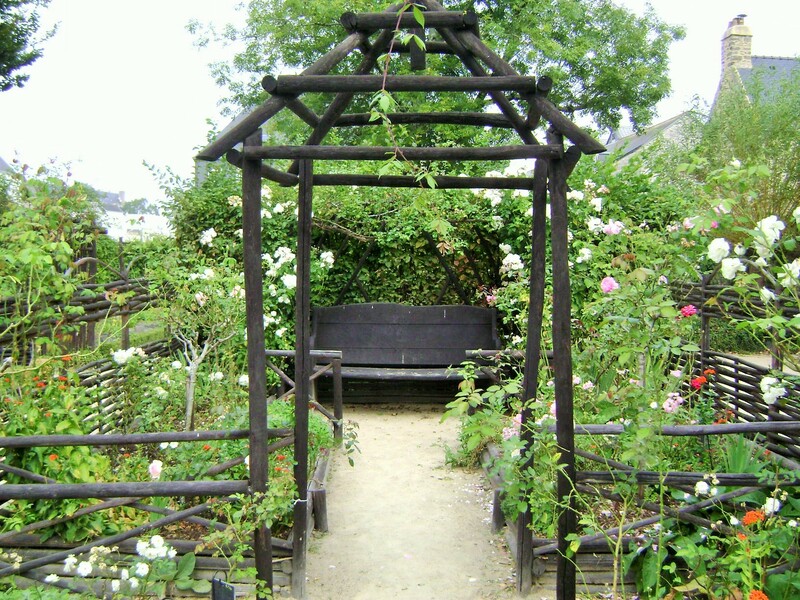 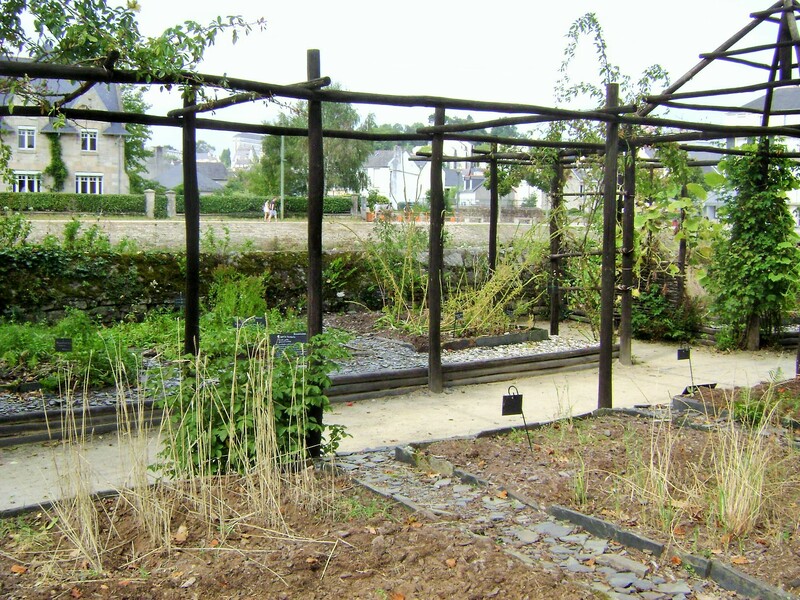 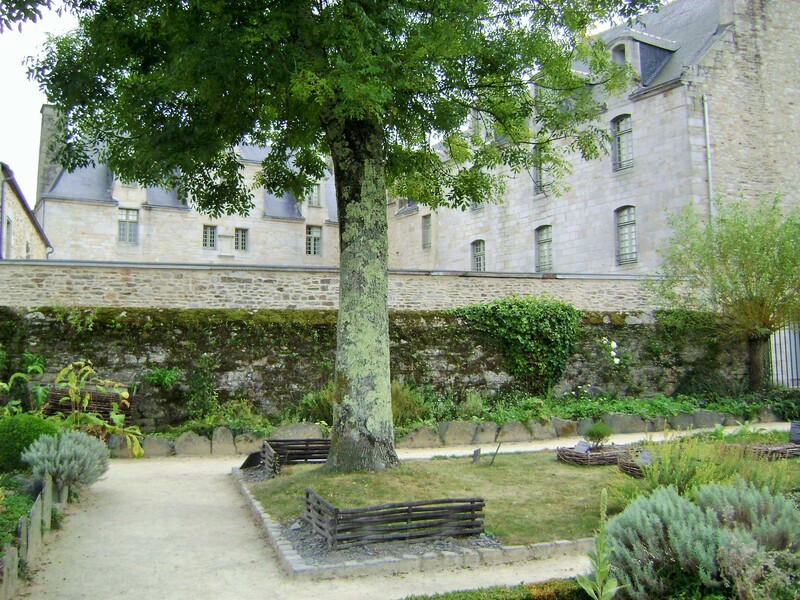 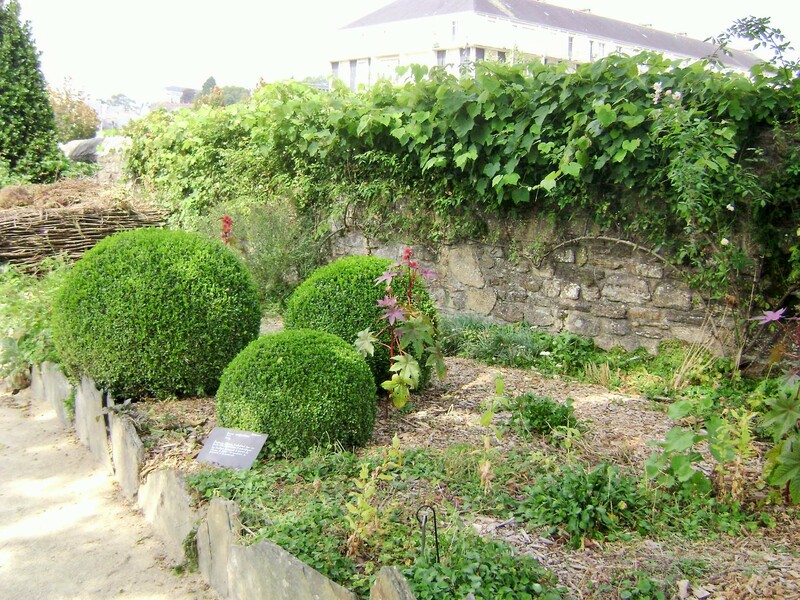 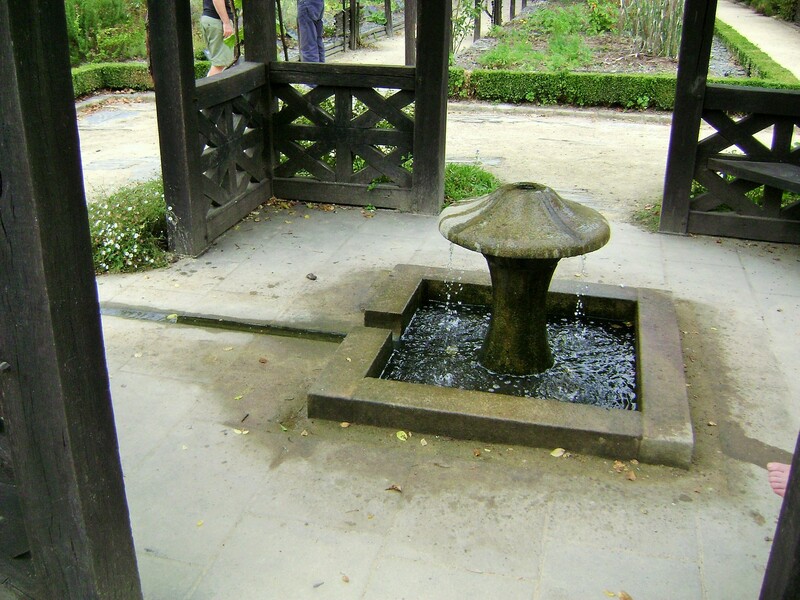 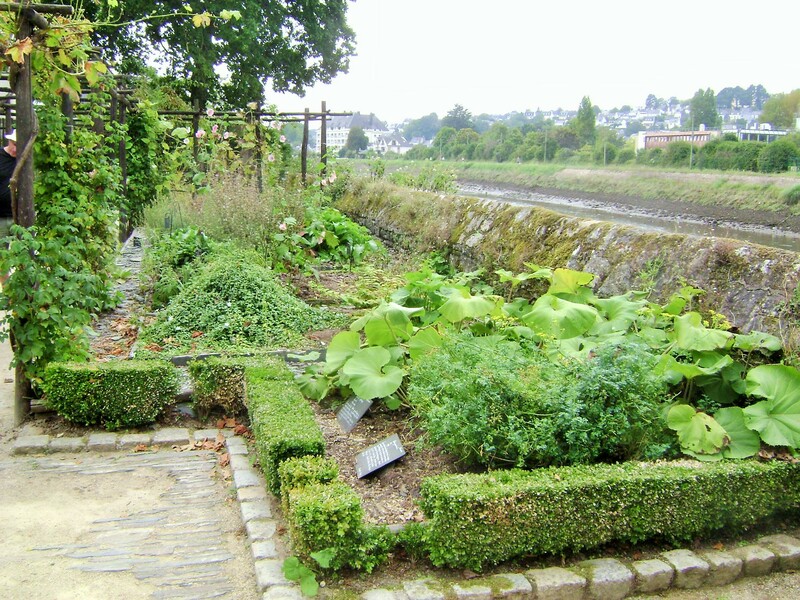 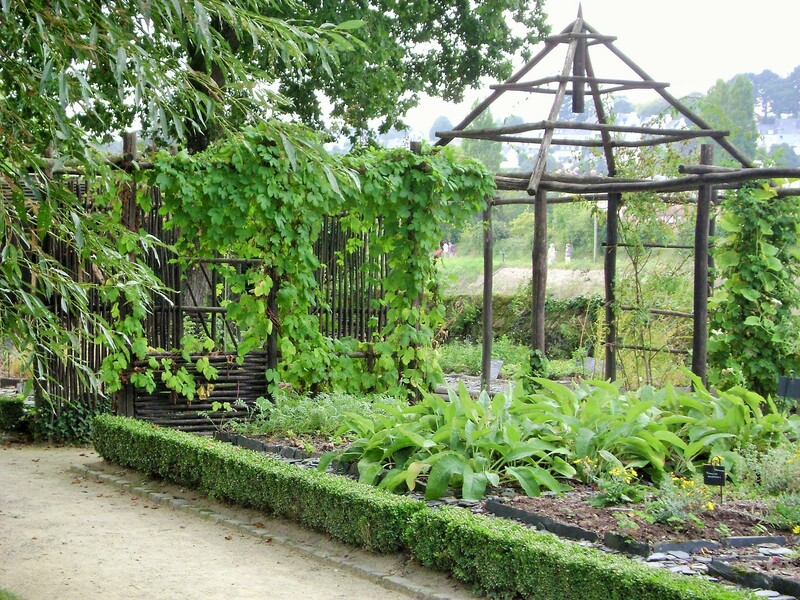 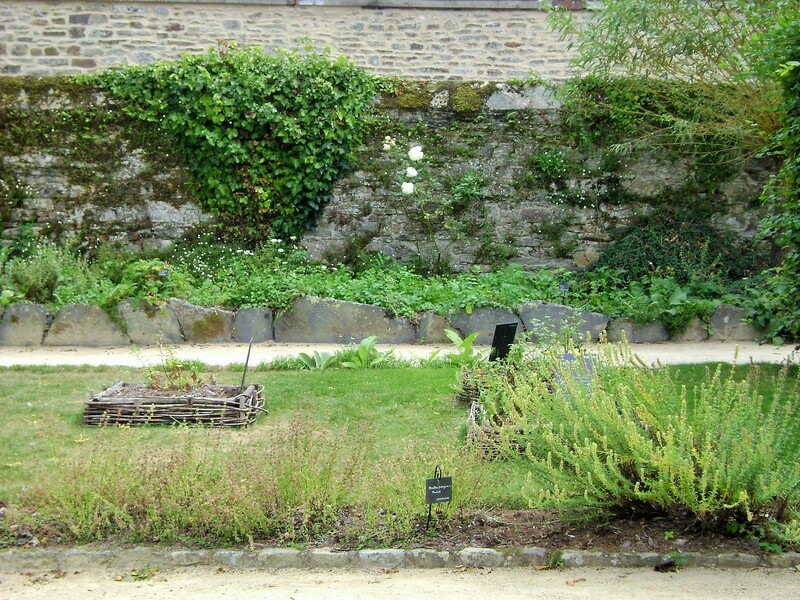 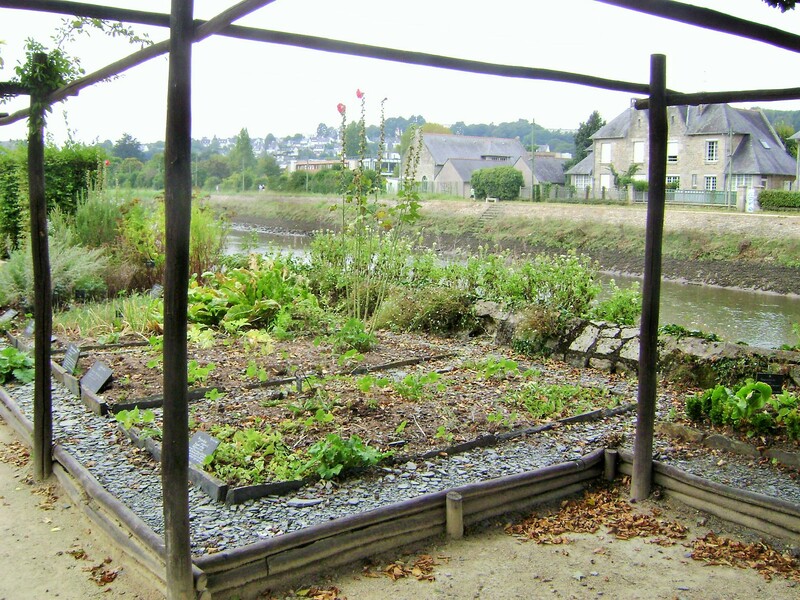 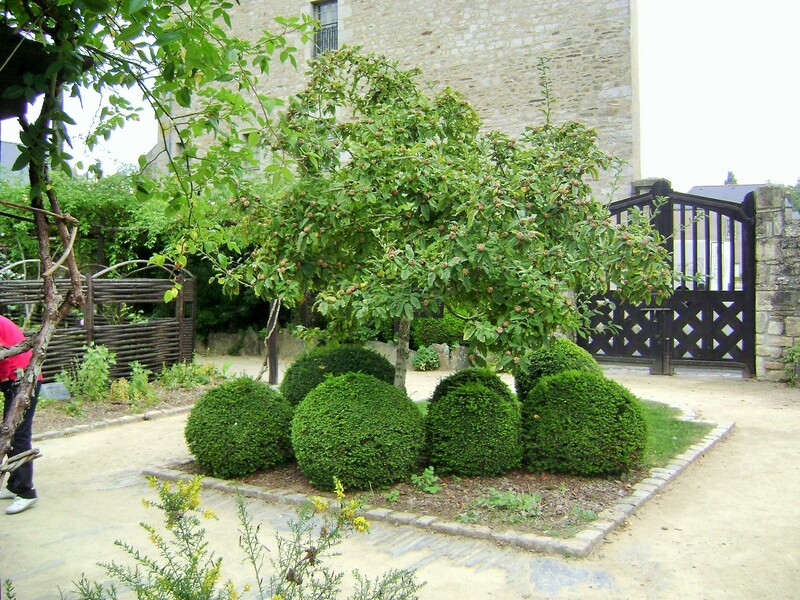 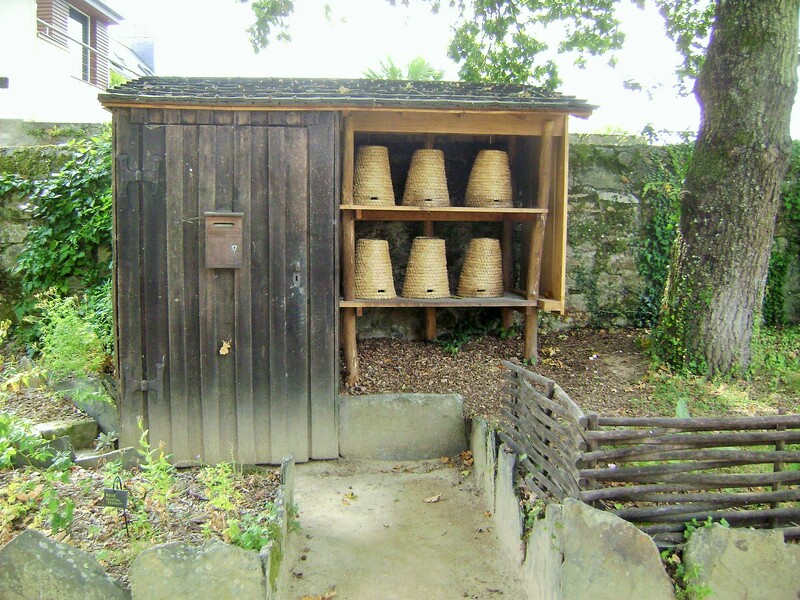 I came across a lovely medieval style garden in the town of Blain in southern Brittany (France). 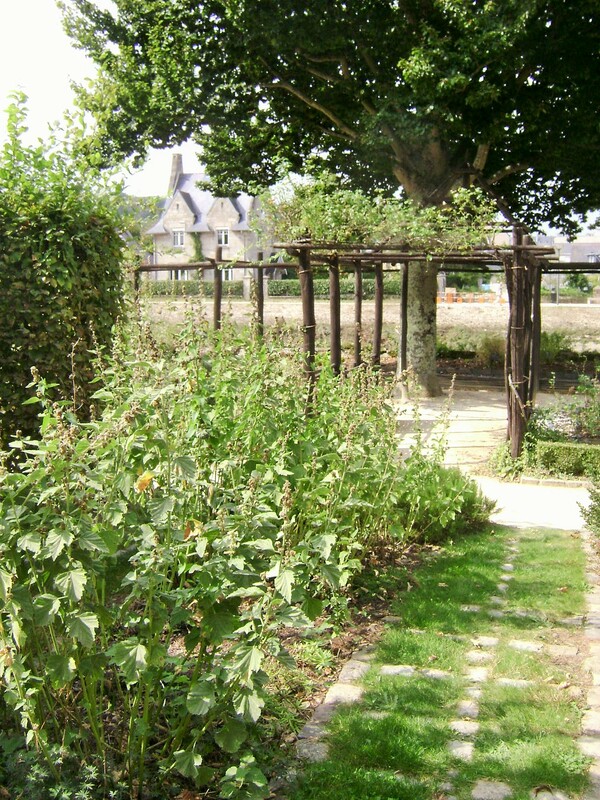 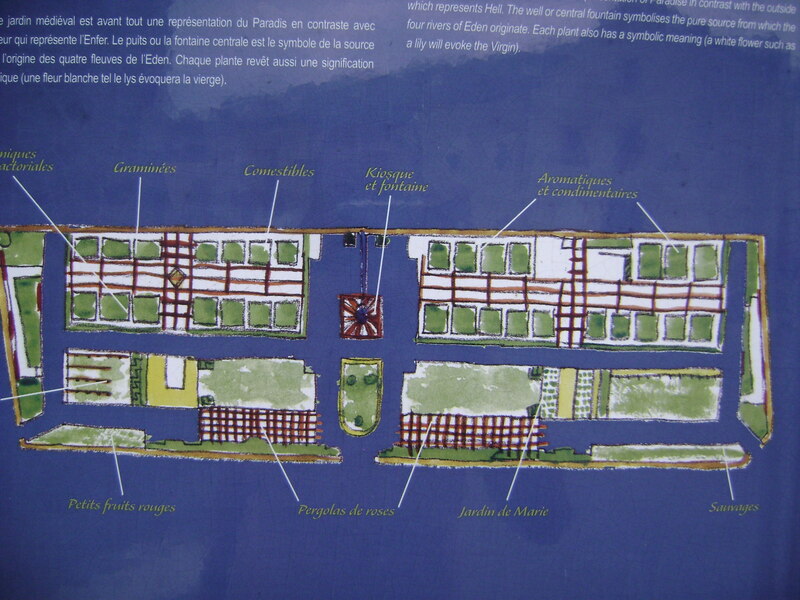 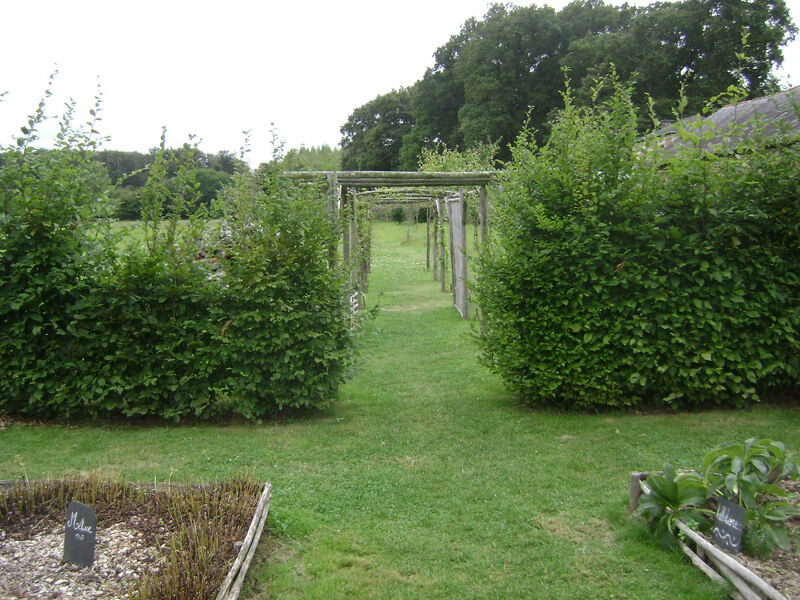 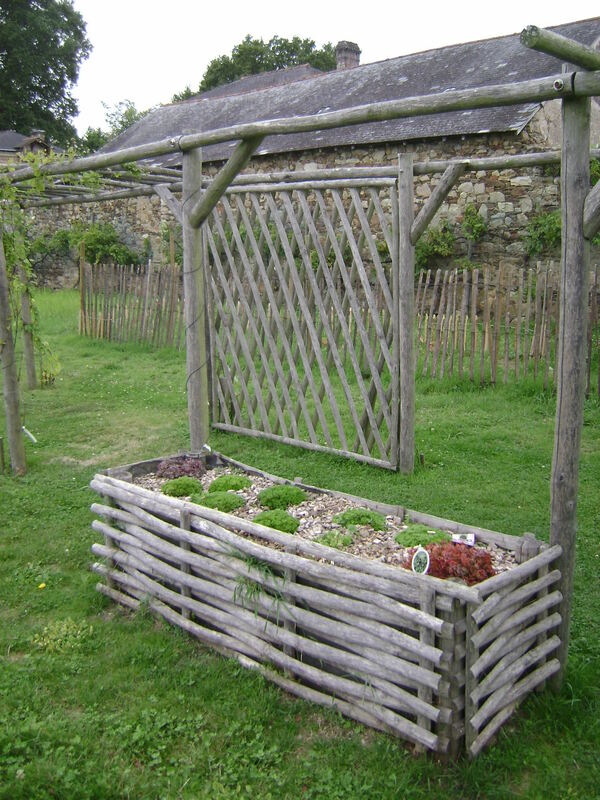 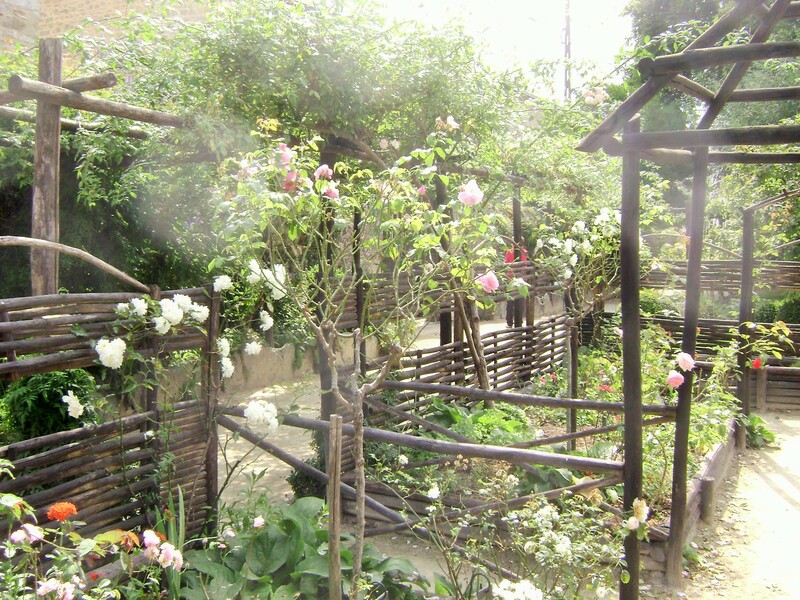 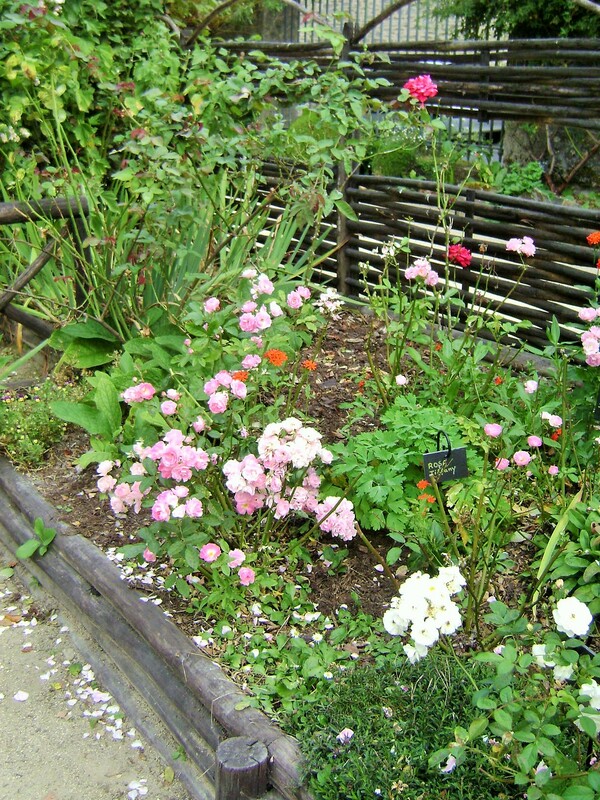 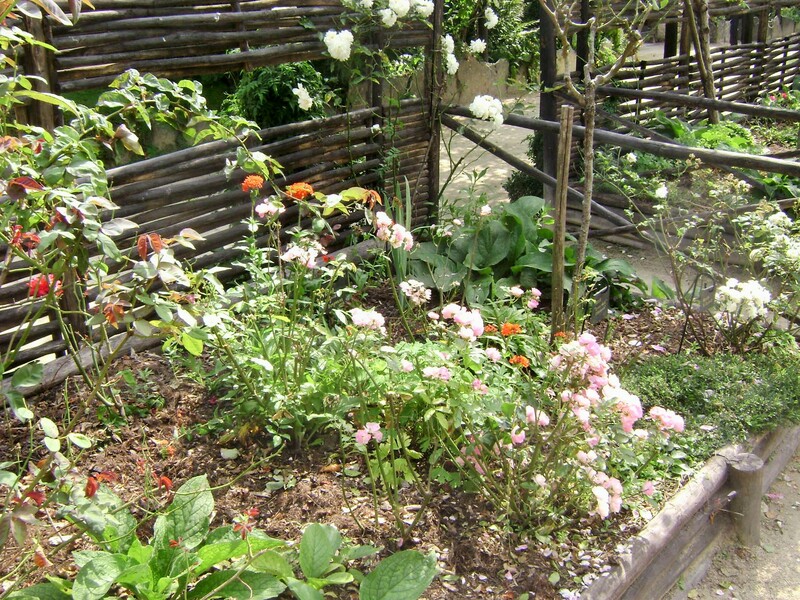 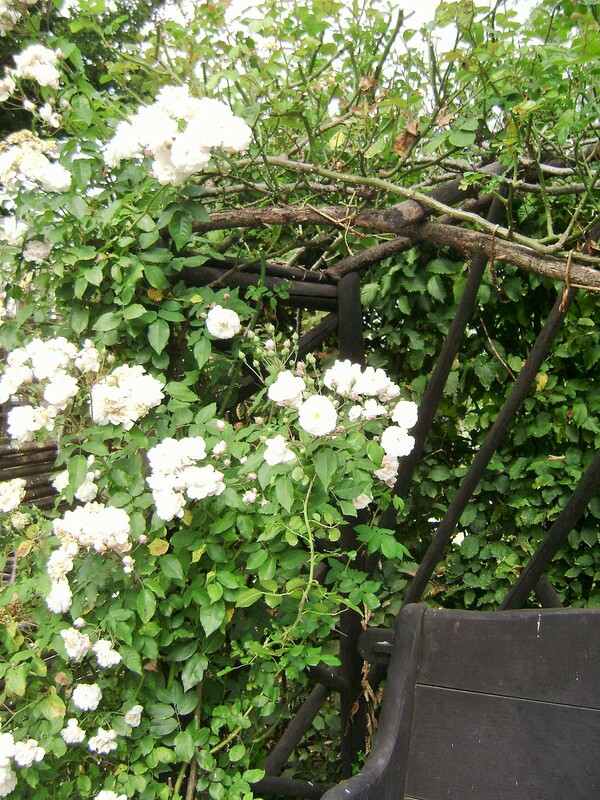 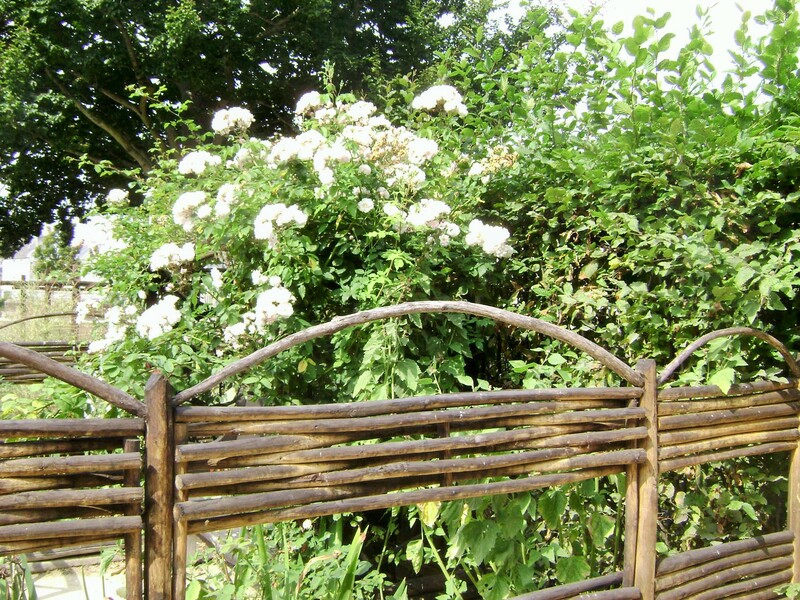 The beds are bordereded with a traditional edging of woven branches. 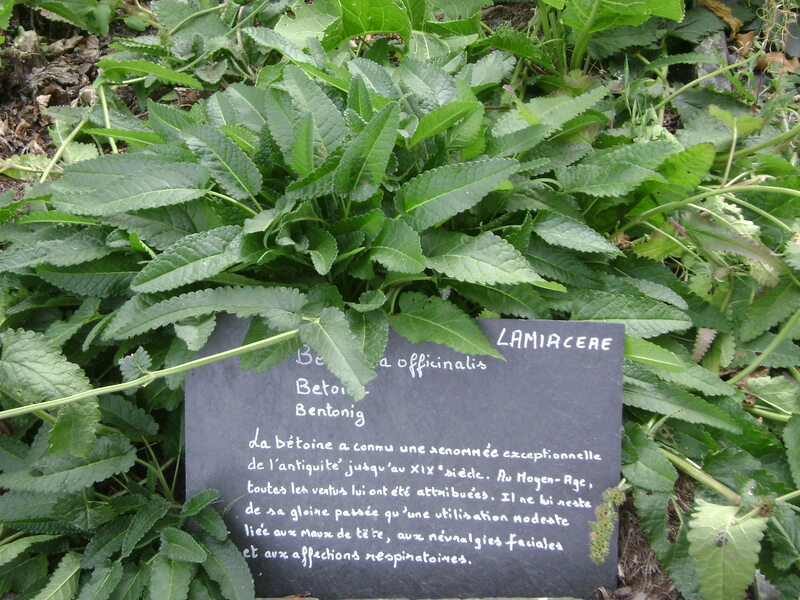 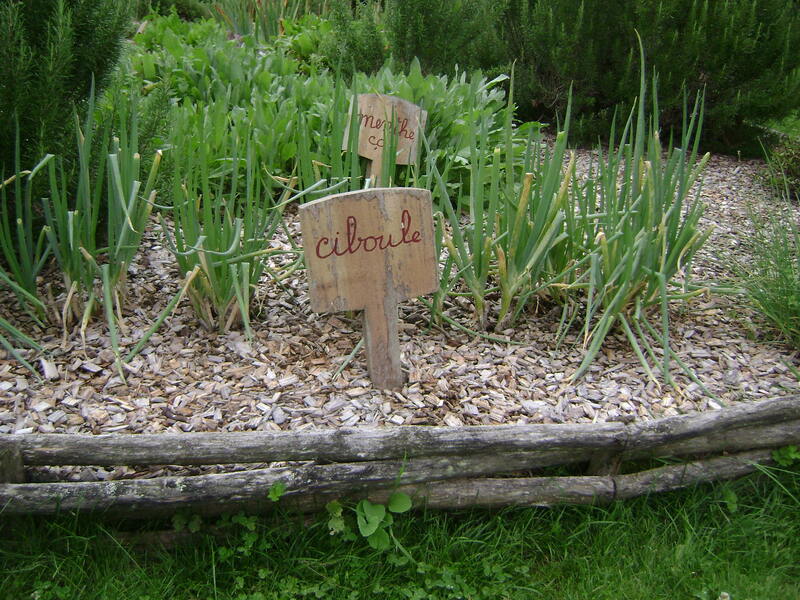 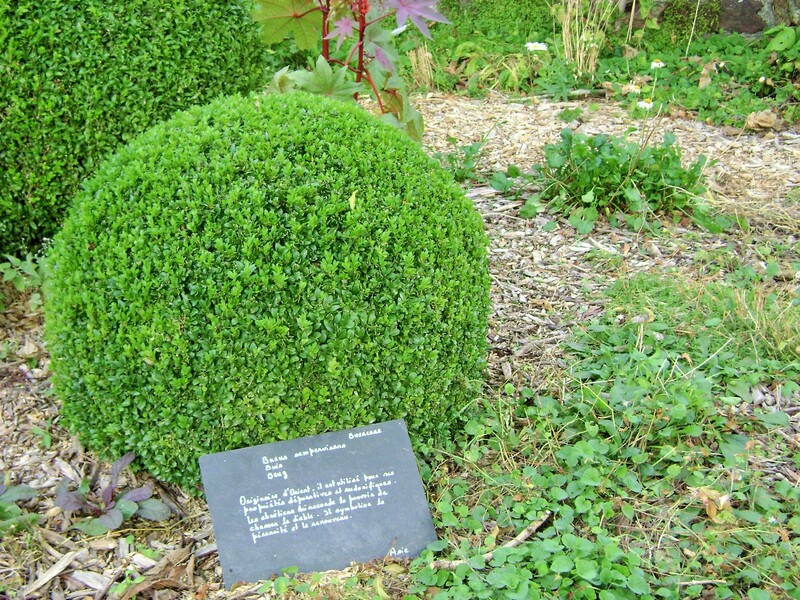 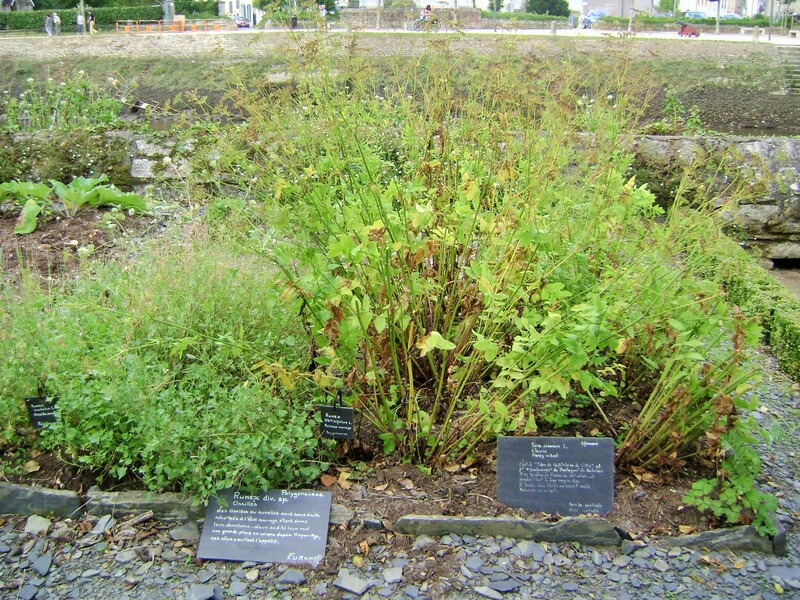 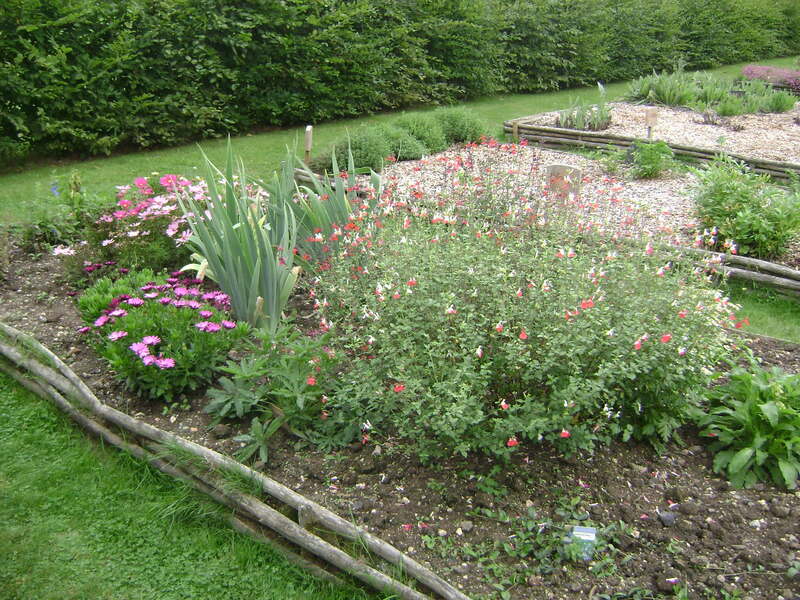 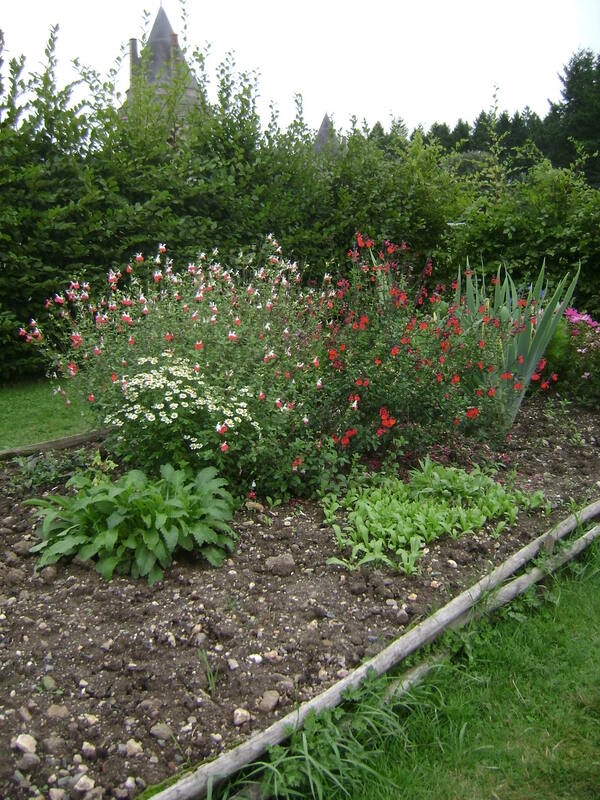 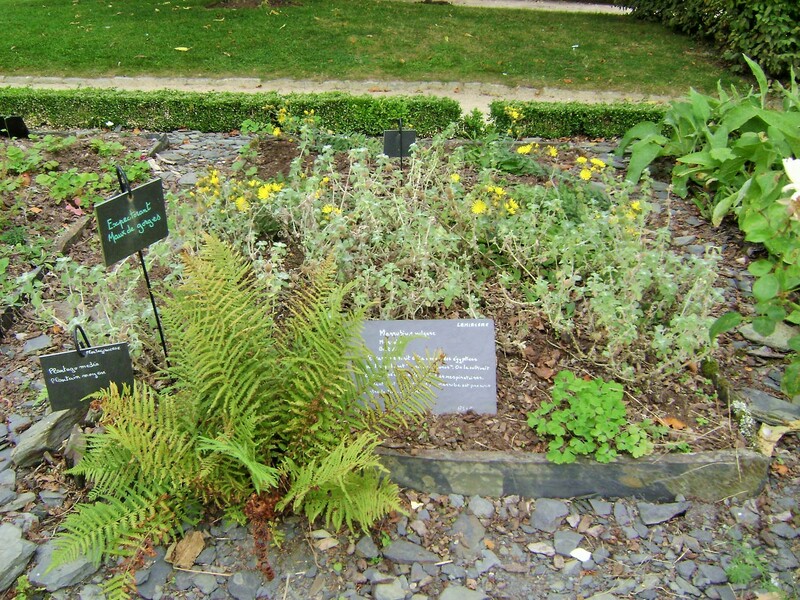 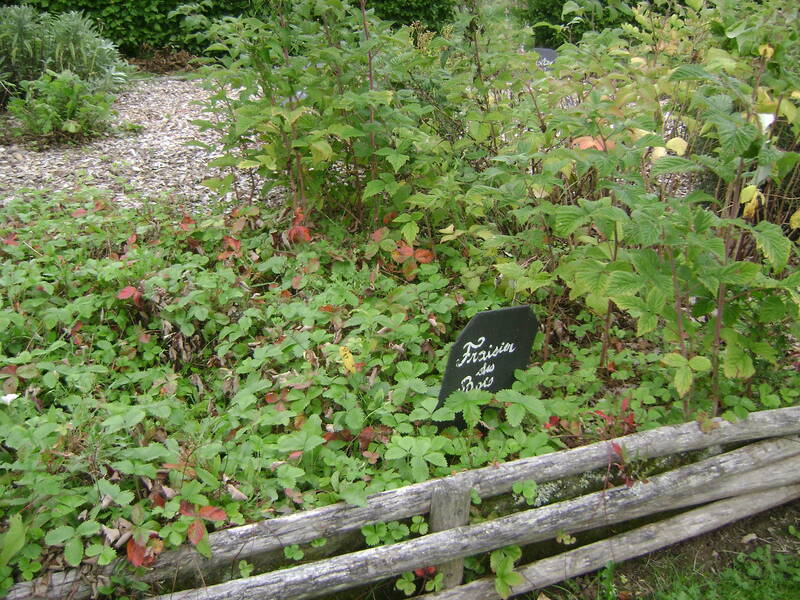 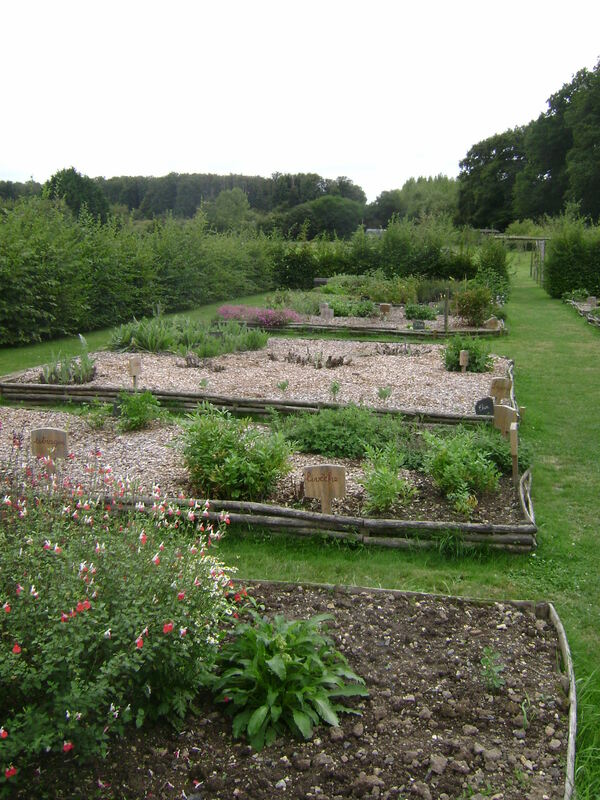 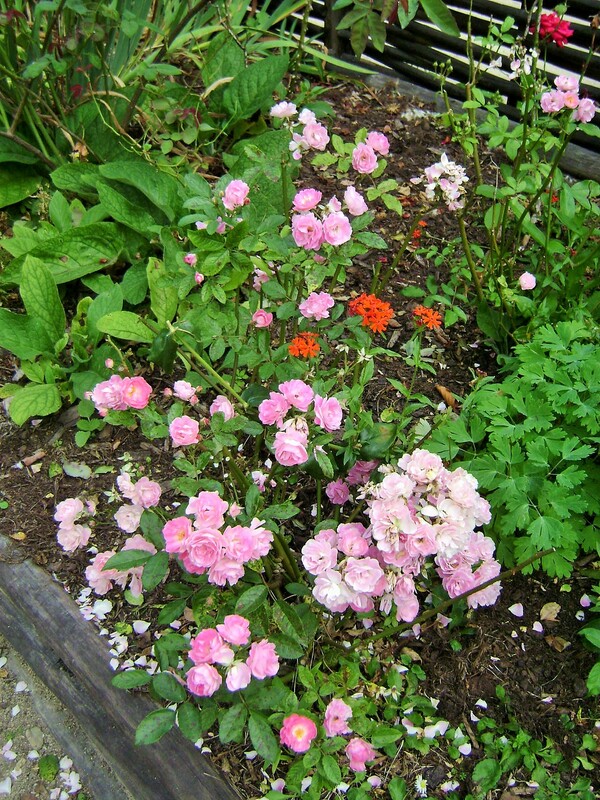 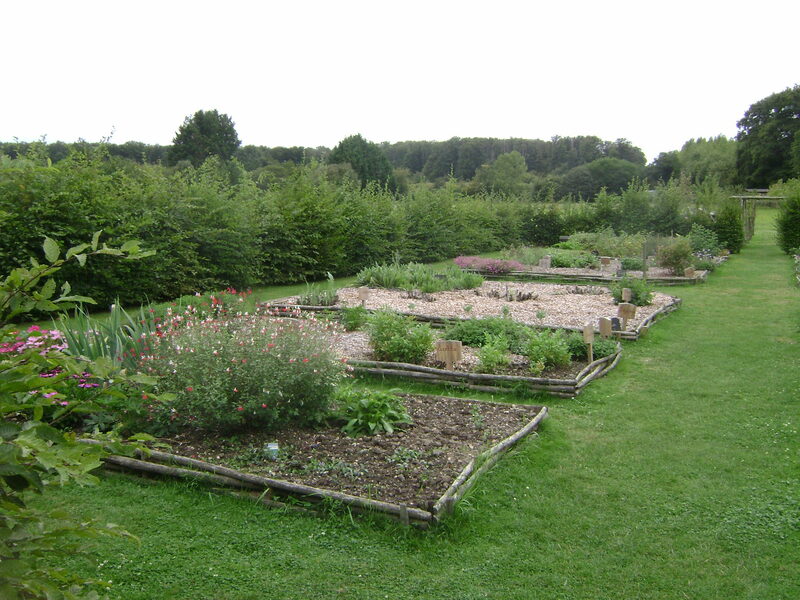 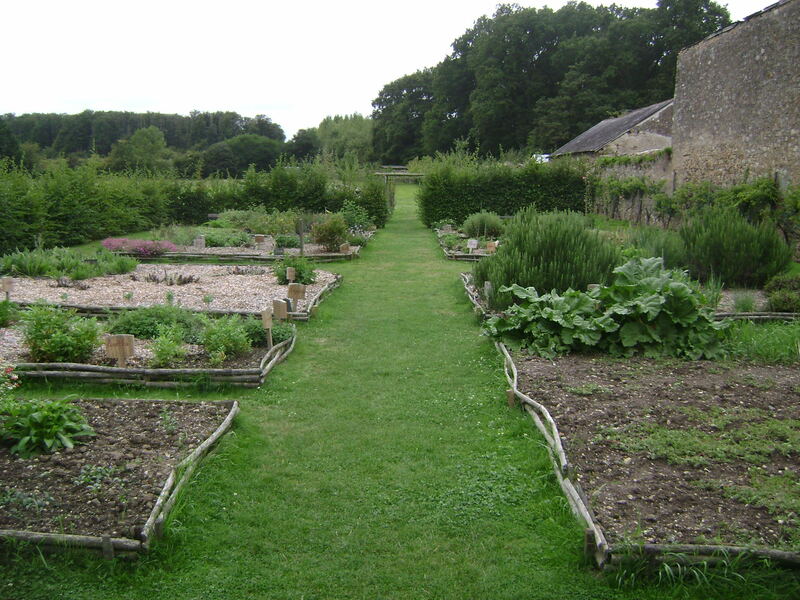 Some are used to grow vegetables, others have aromatics or medicinal plants of all kinds, as well as some old fashioned and all but forgotten plants. 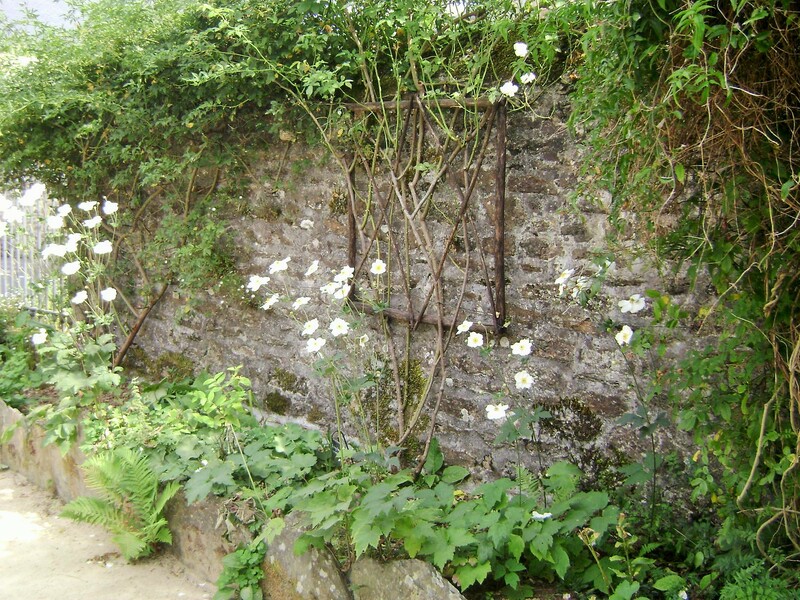 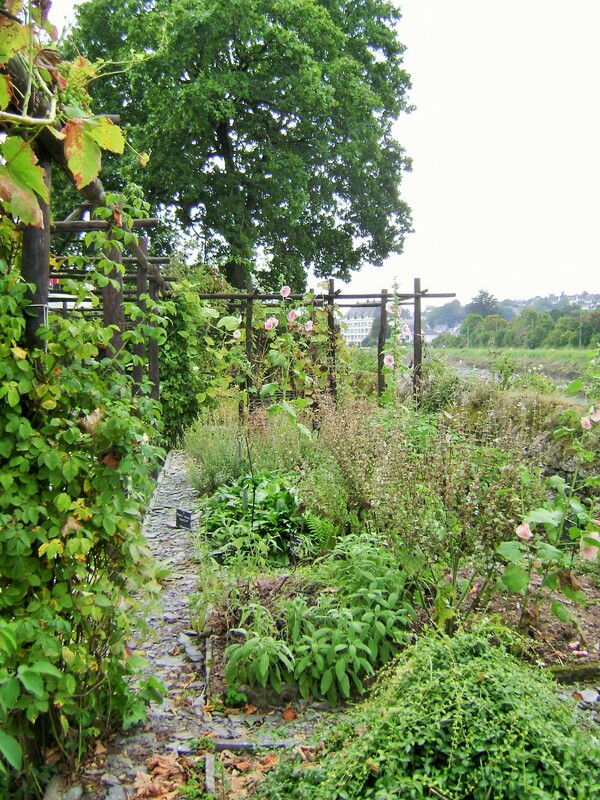 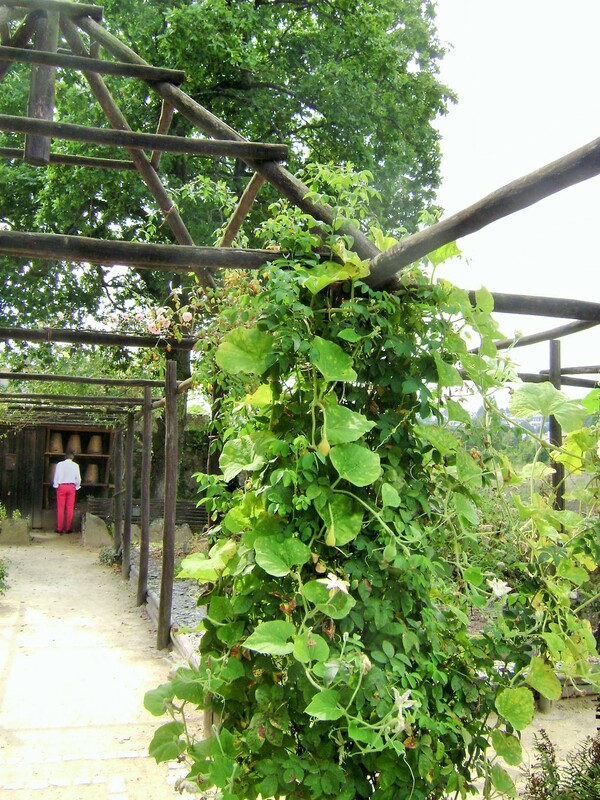 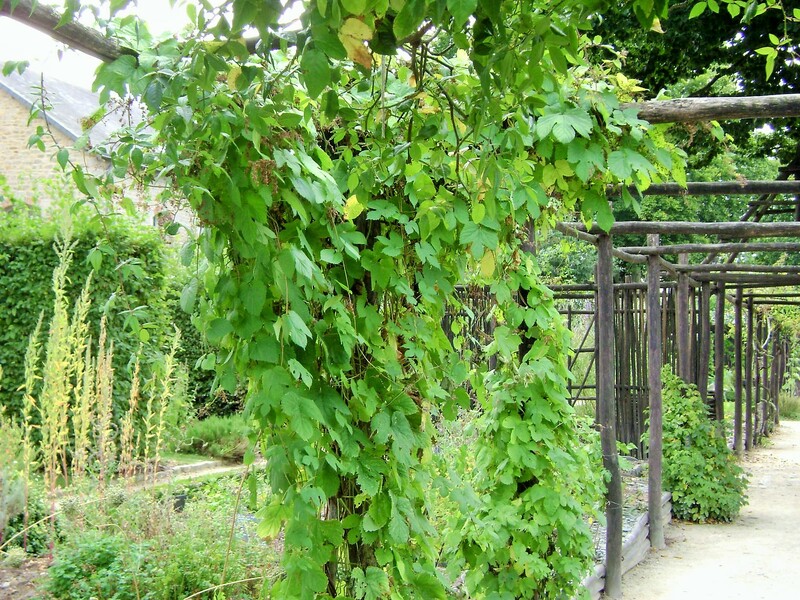 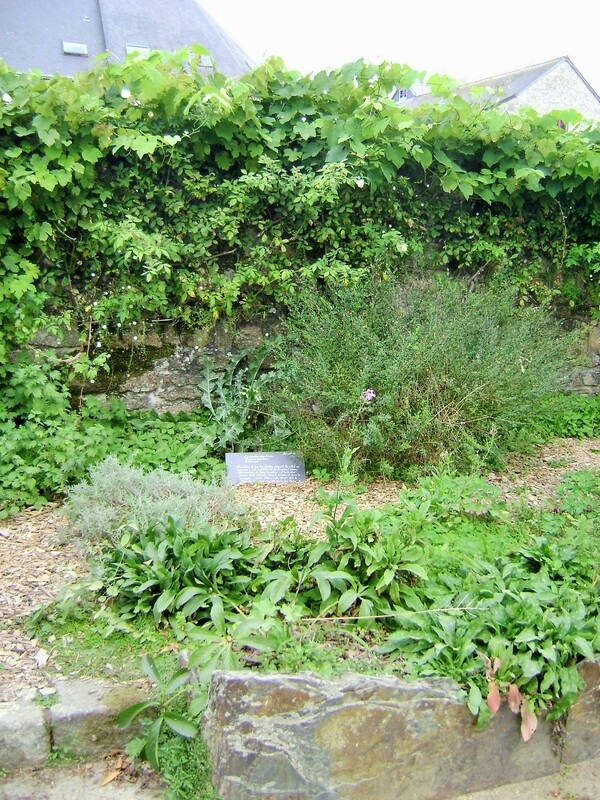 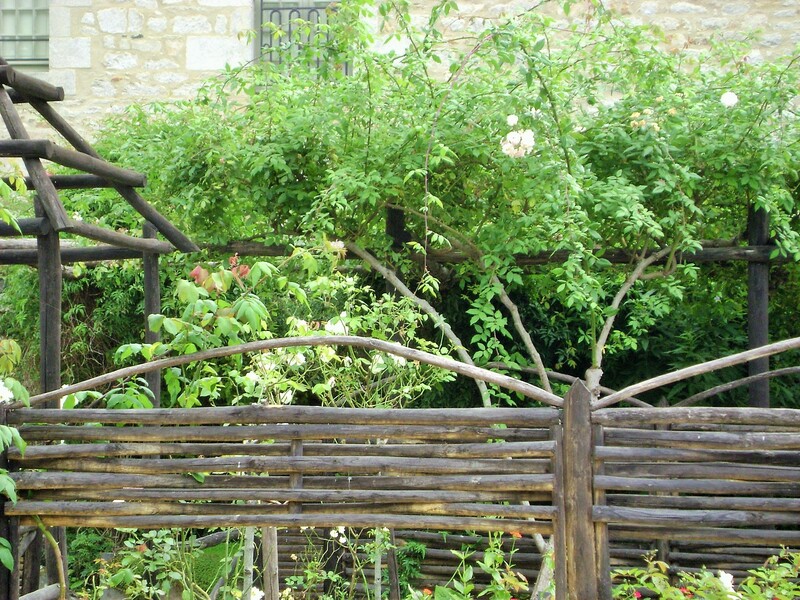 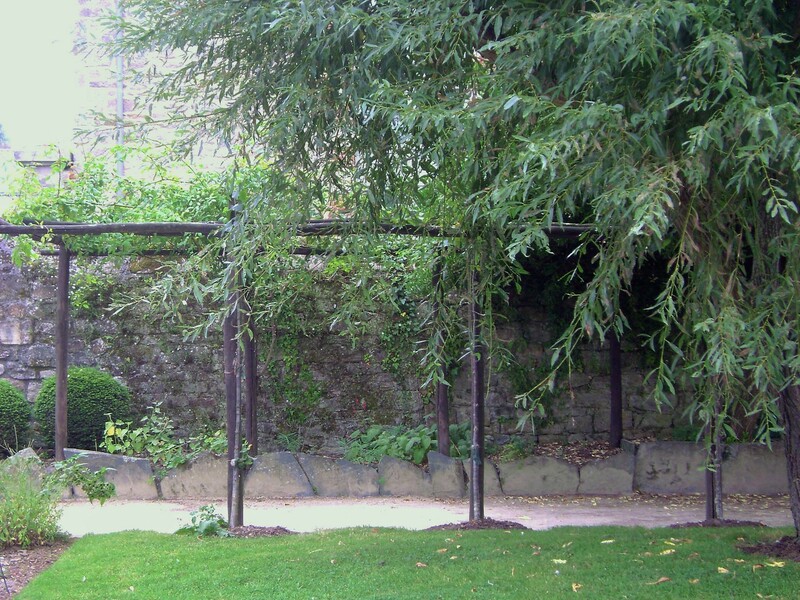 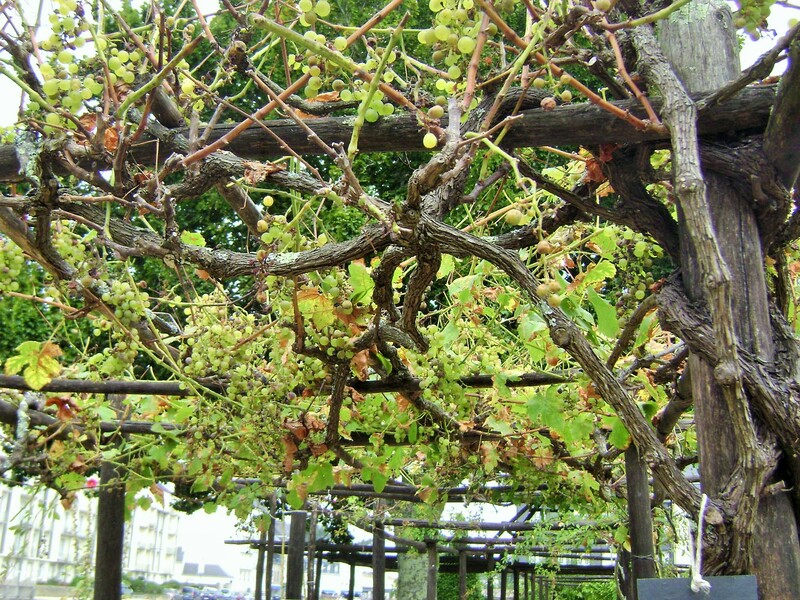 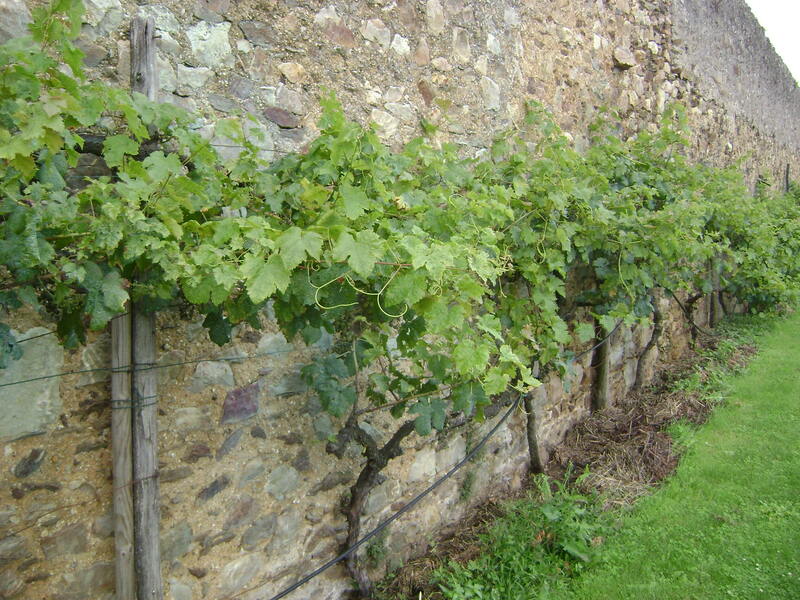 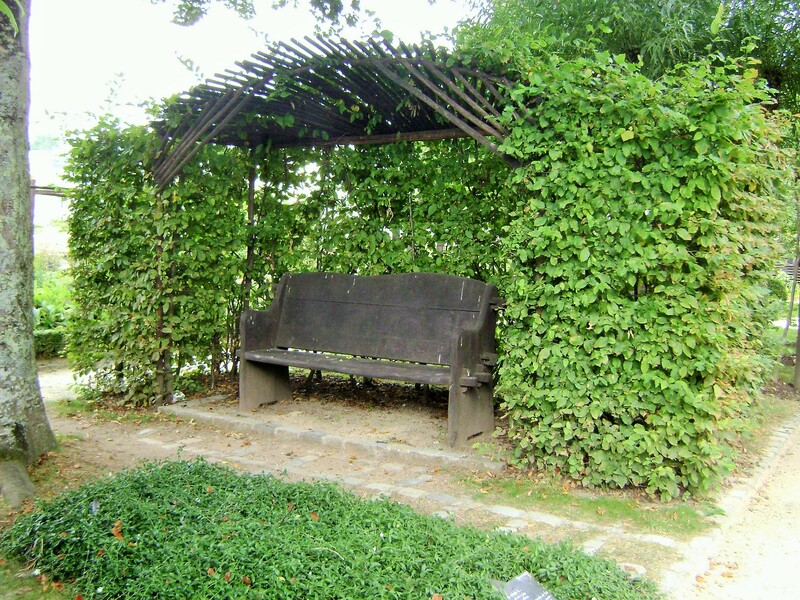 The garden is still fairly young, but grapevines are growing along the wall, as well as on the arbor behind. 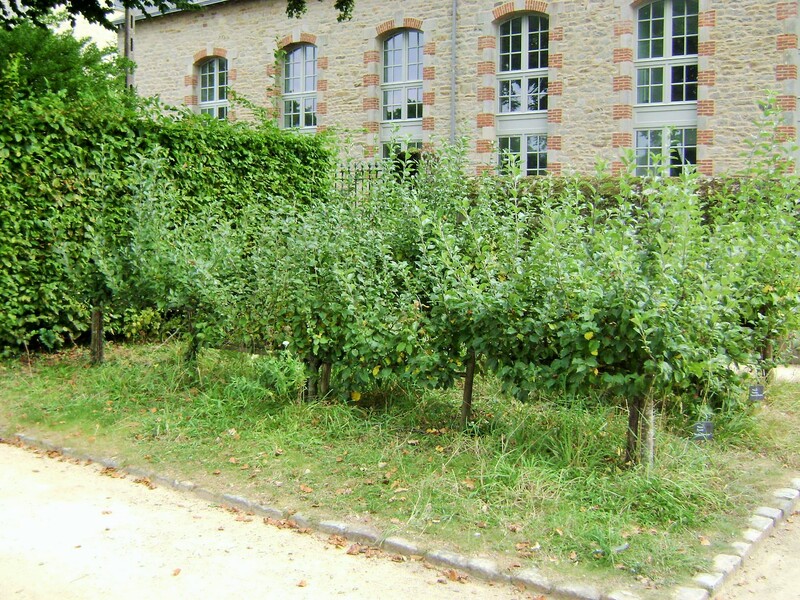 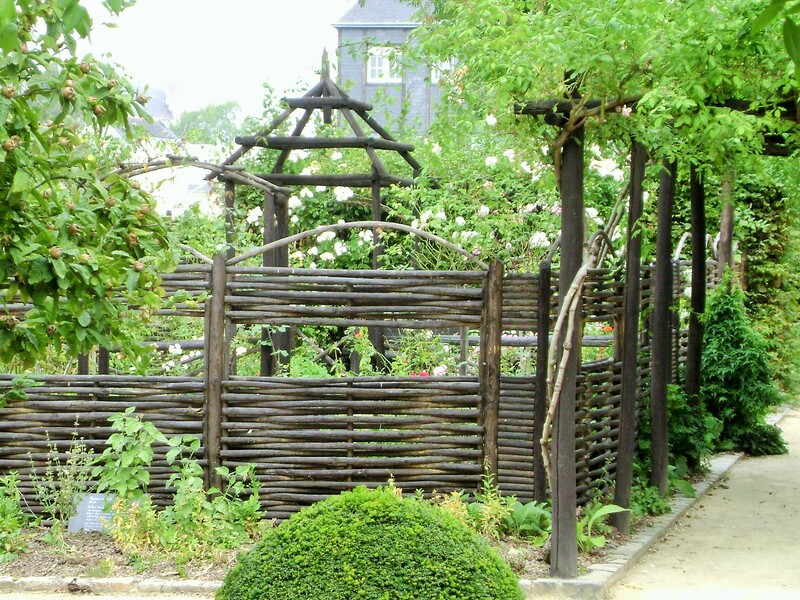 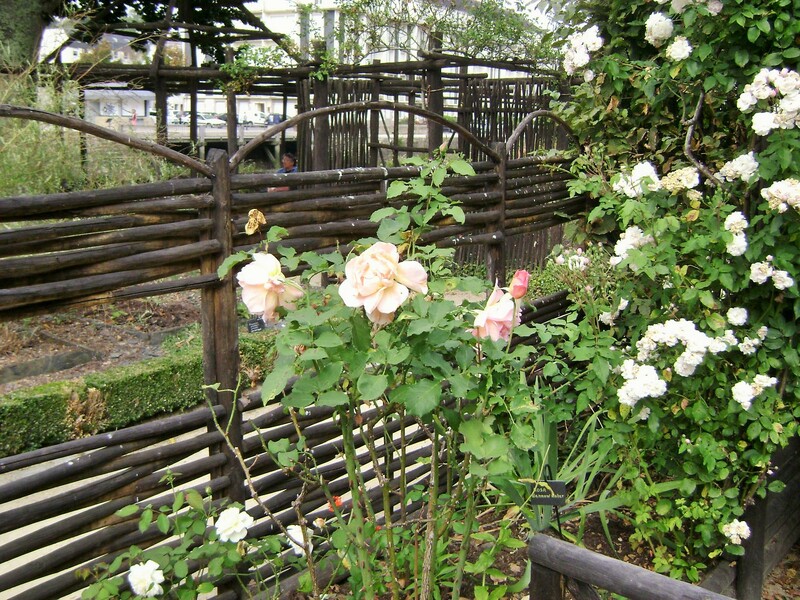 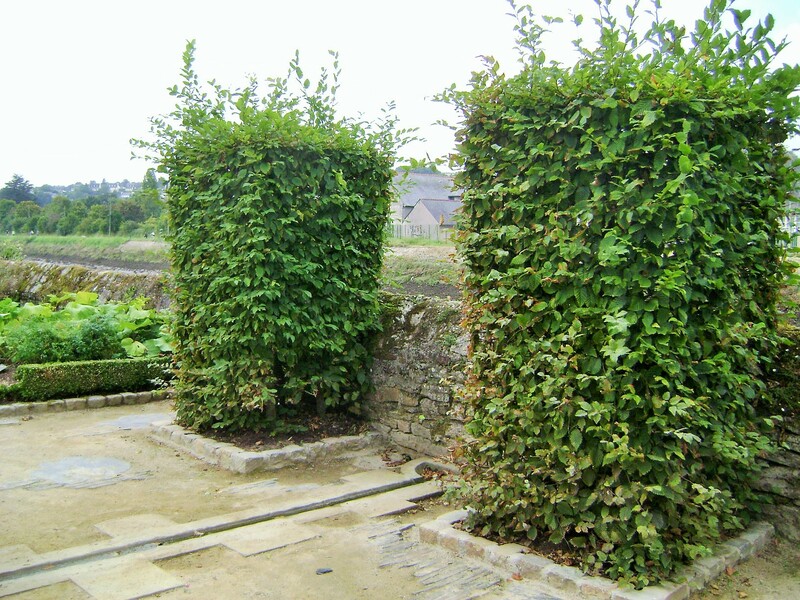 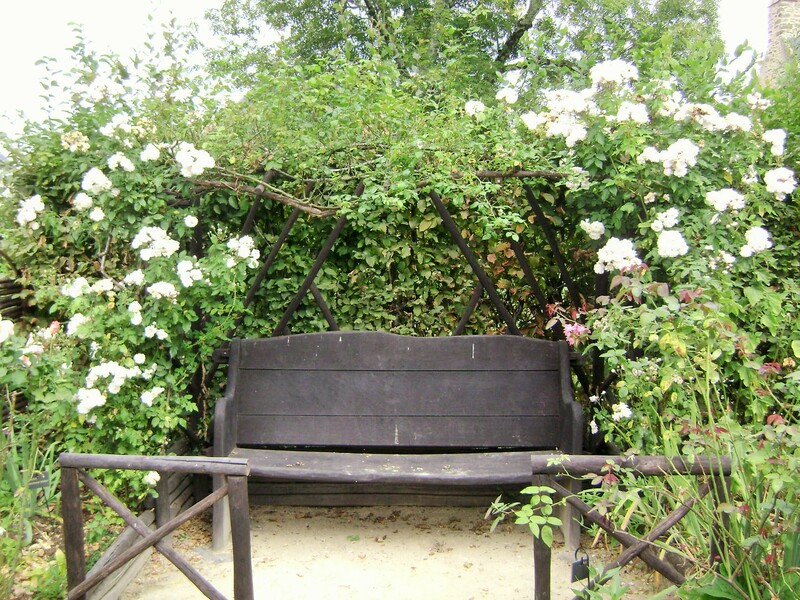 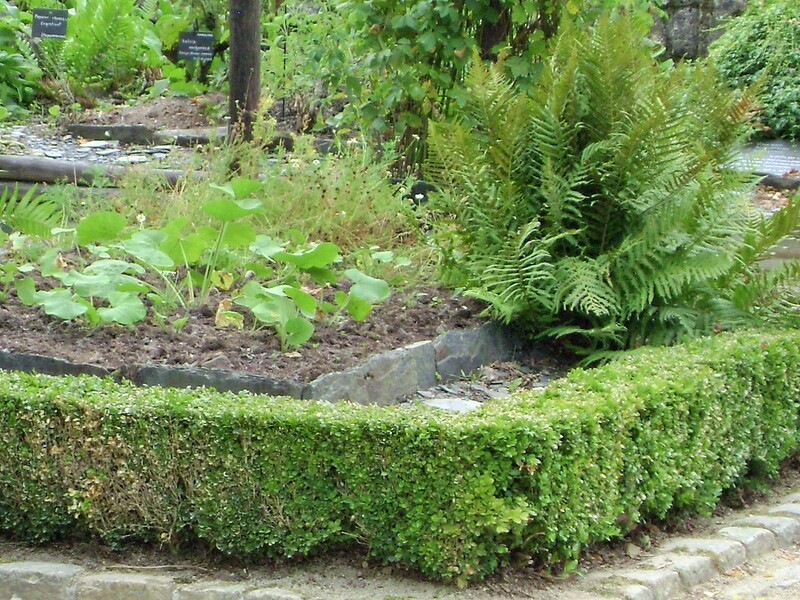 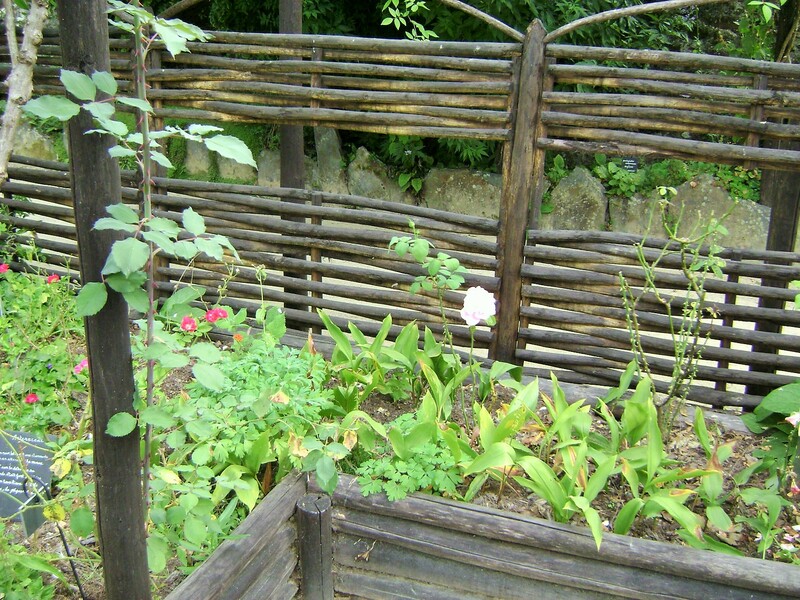 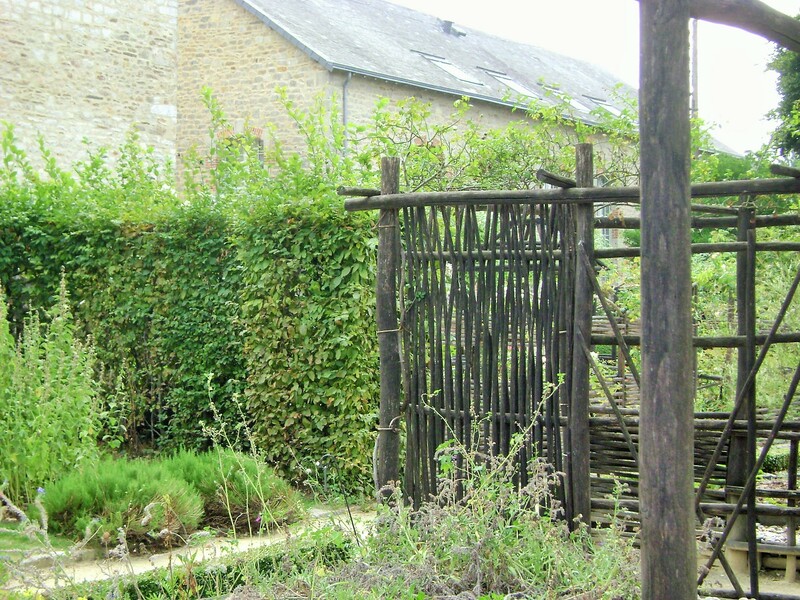 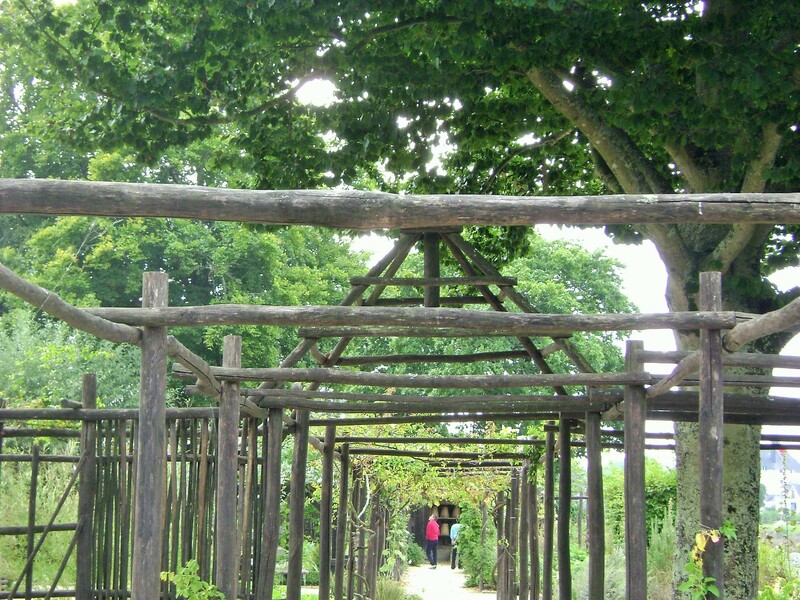 Woven edging is called “bordure en Plessis” in French, and is most commonly done using willow, because the twigs or branches are both long and very flexible. 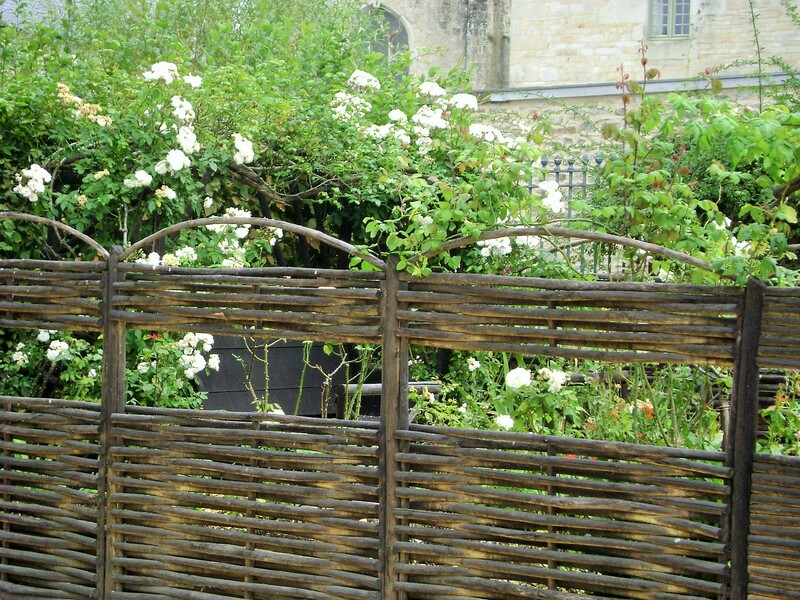 Wicker is also fairly common especially for tighter and more even weaves. 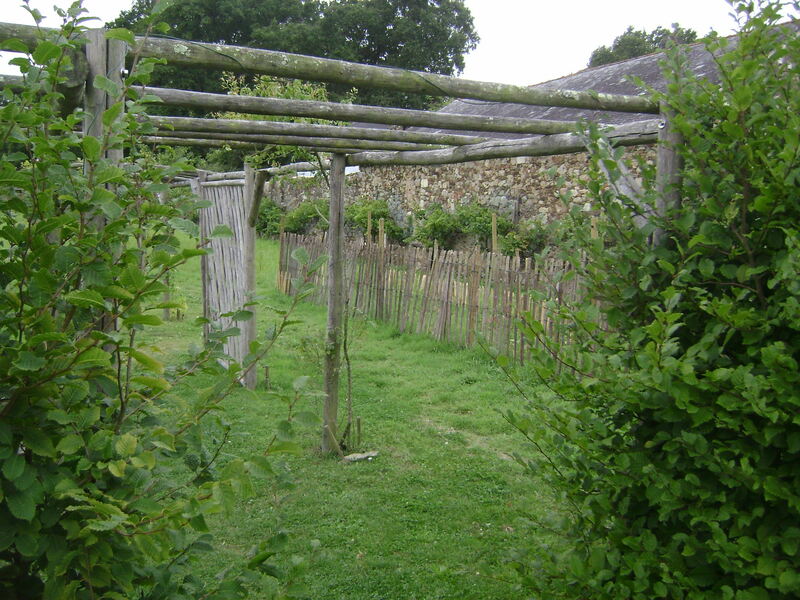 Hazelnut branches may on occasion be used as well for a more rustic look.